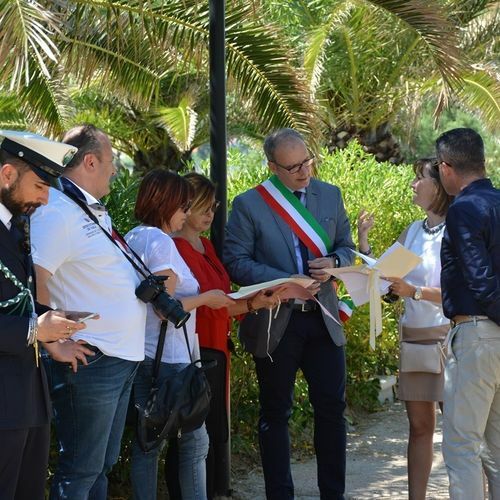 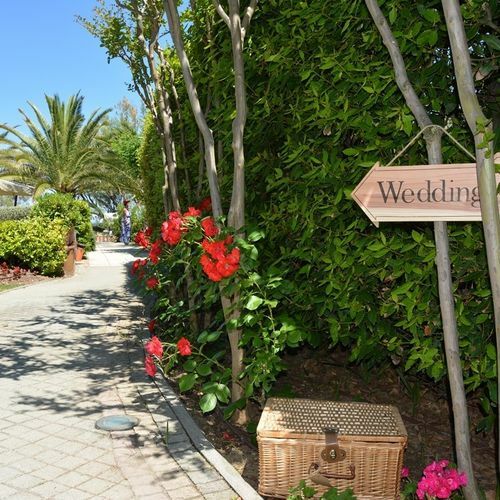 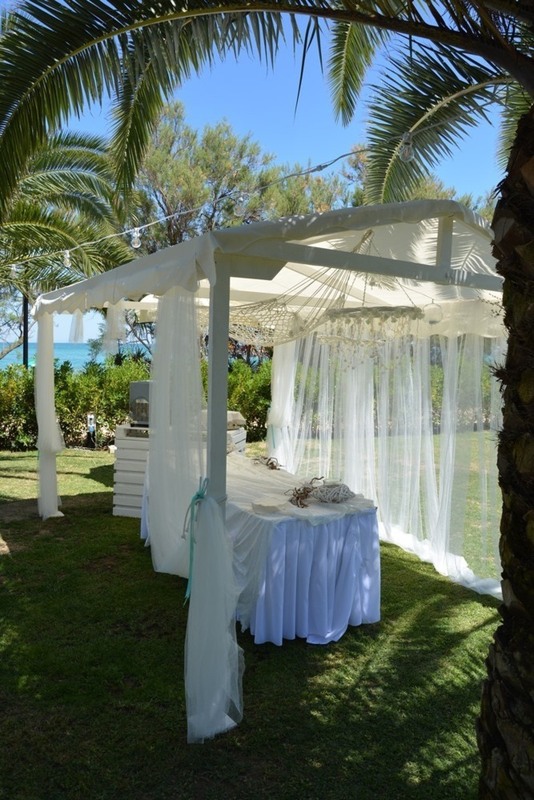 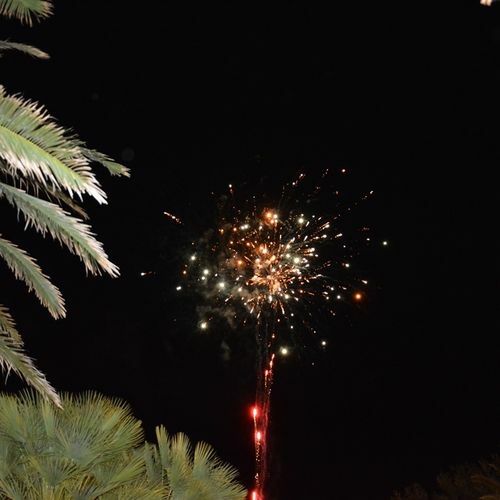 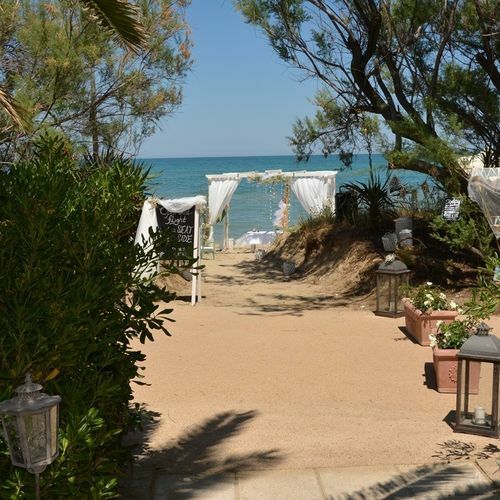 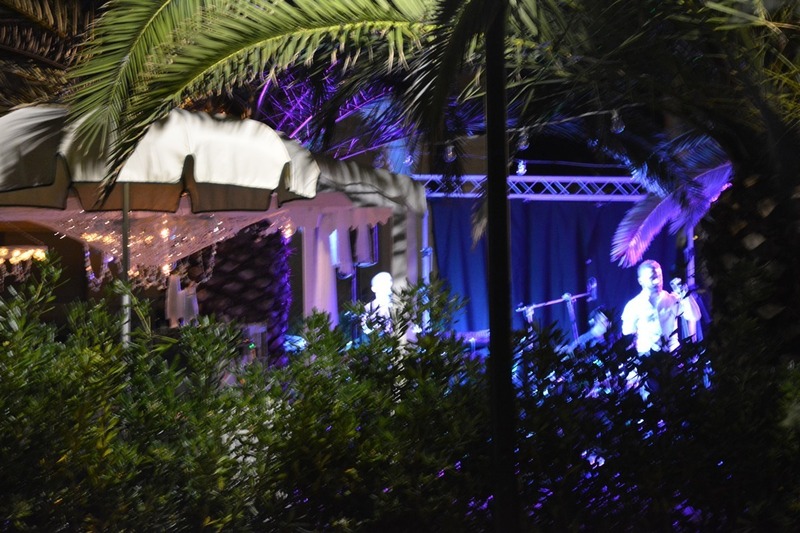 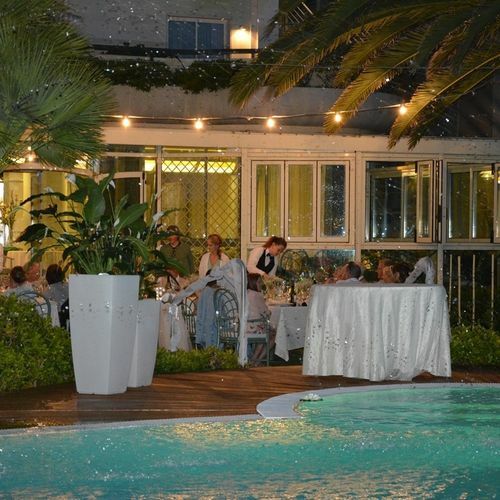 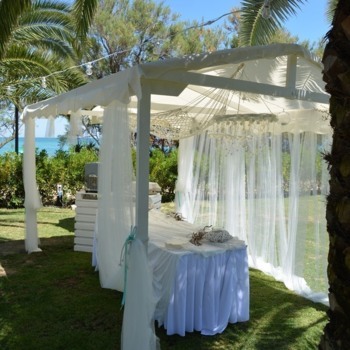 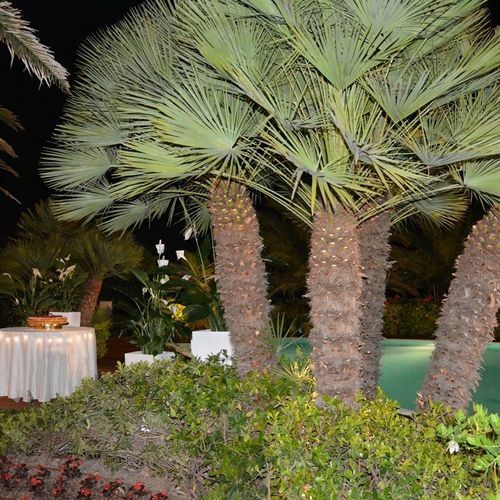 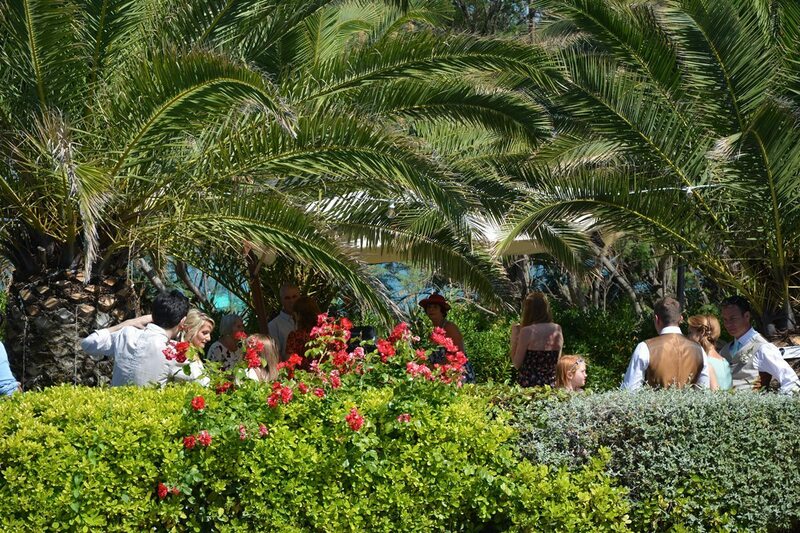 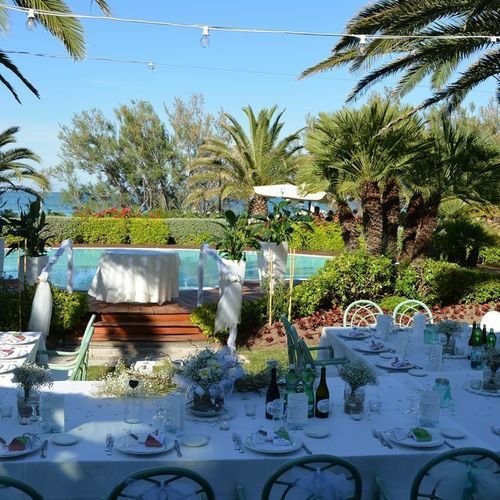 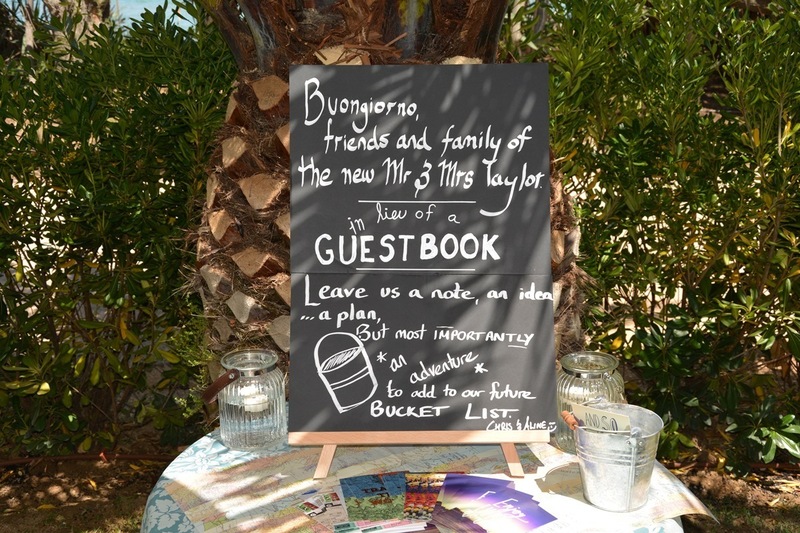 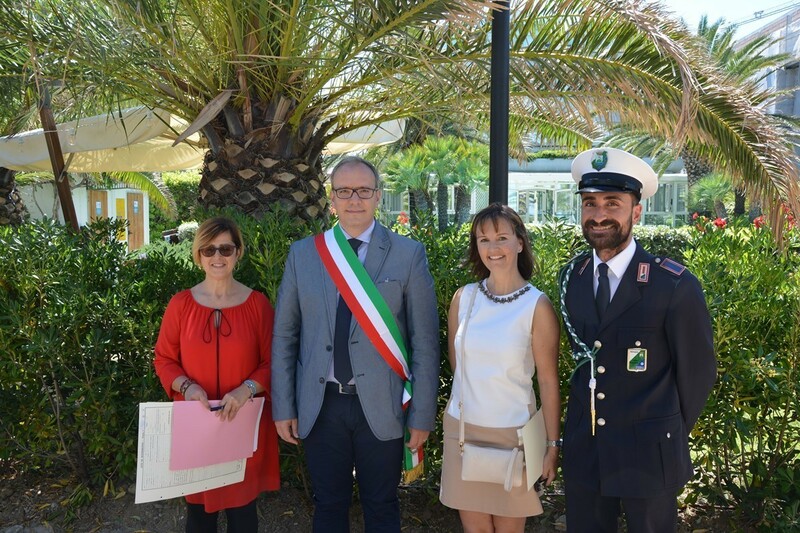 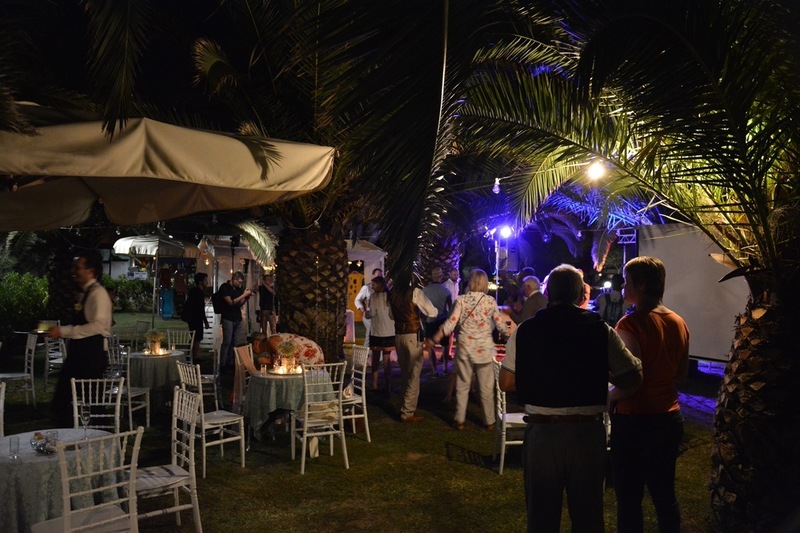 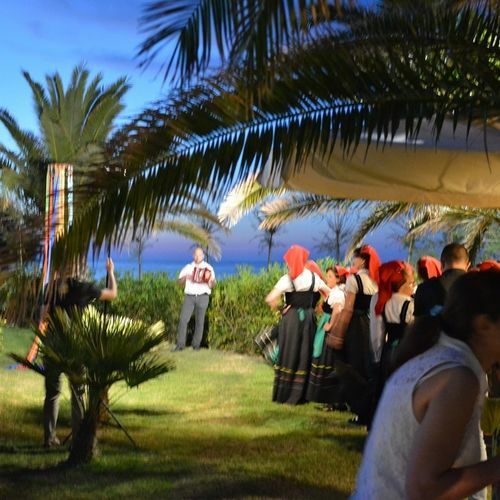 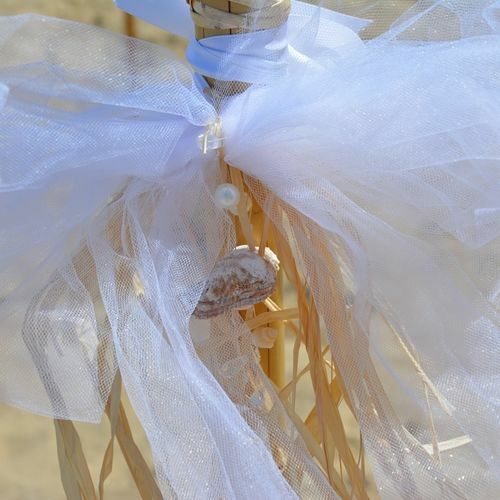 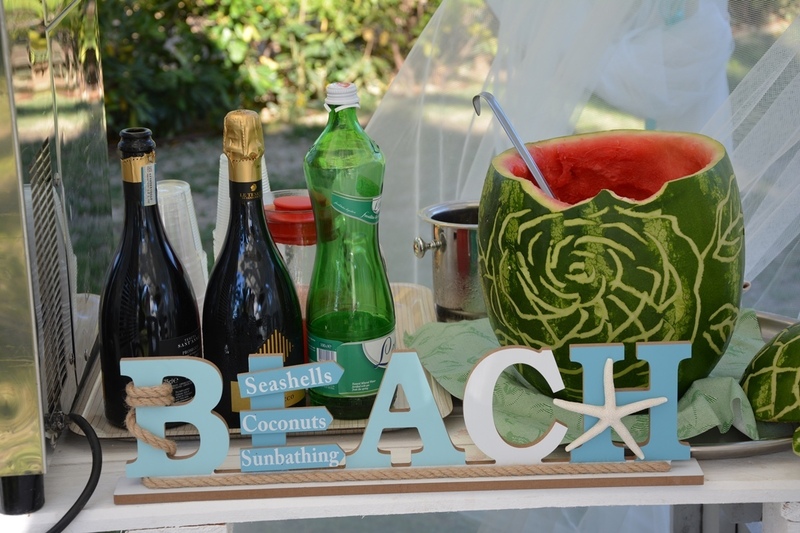 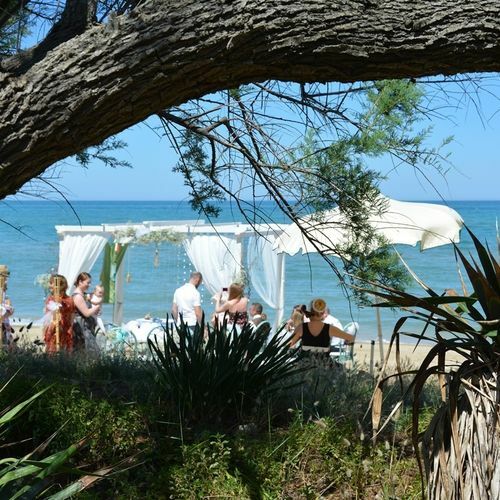 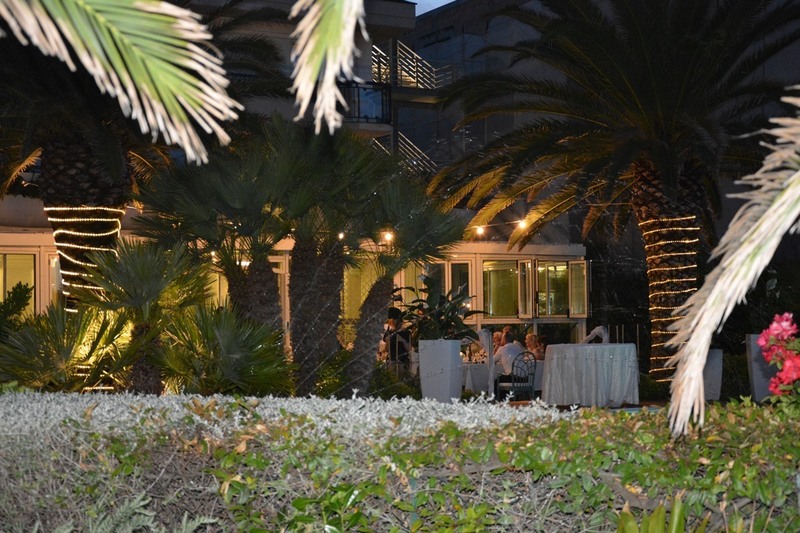 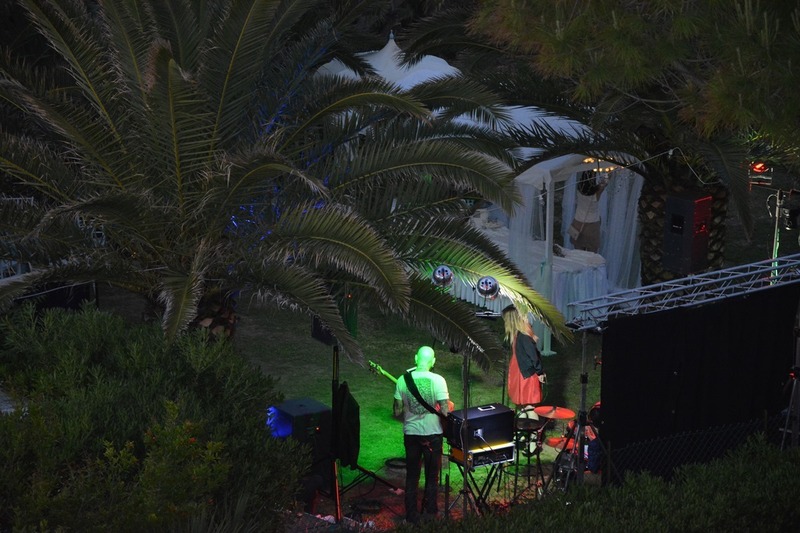 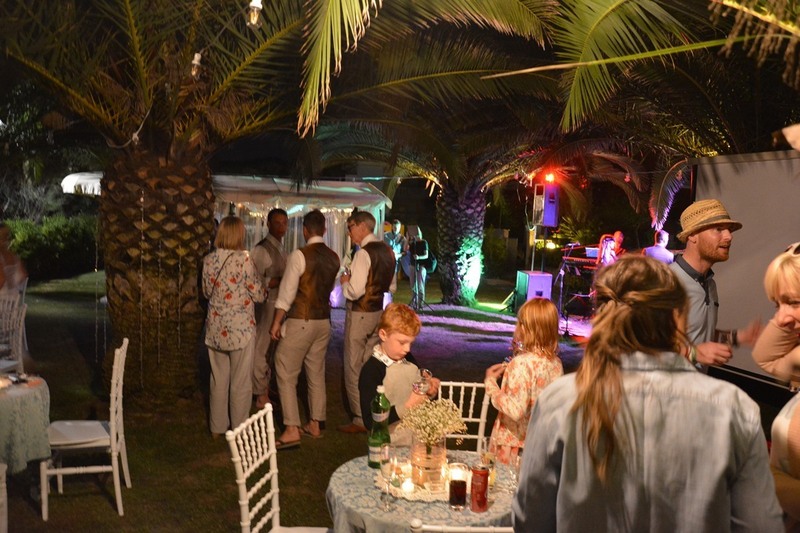 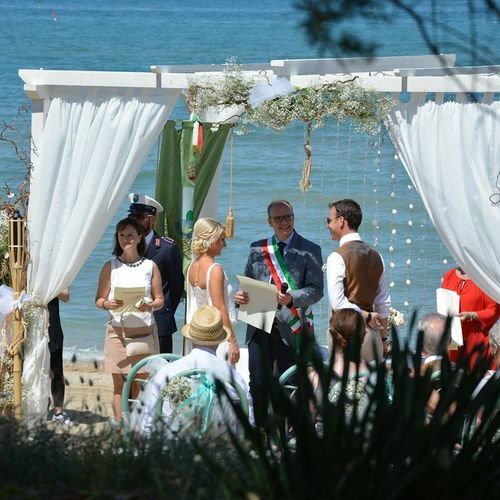 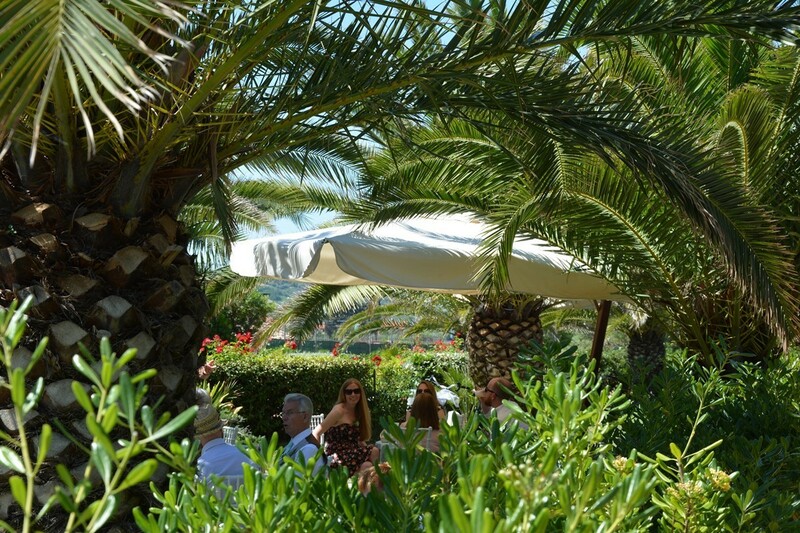 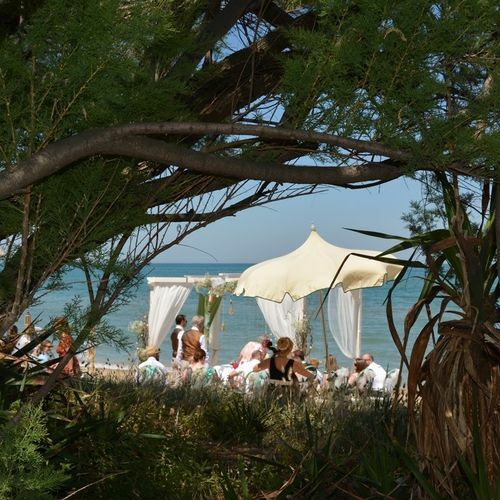 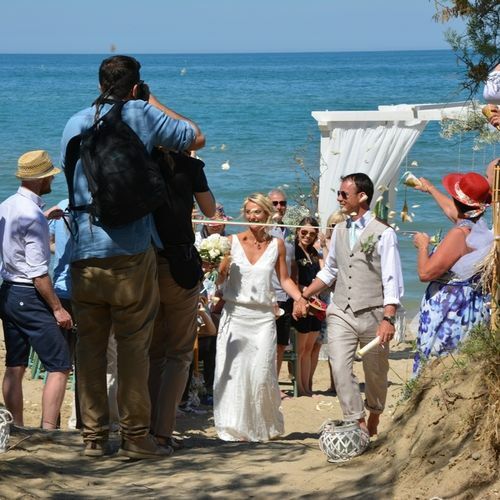 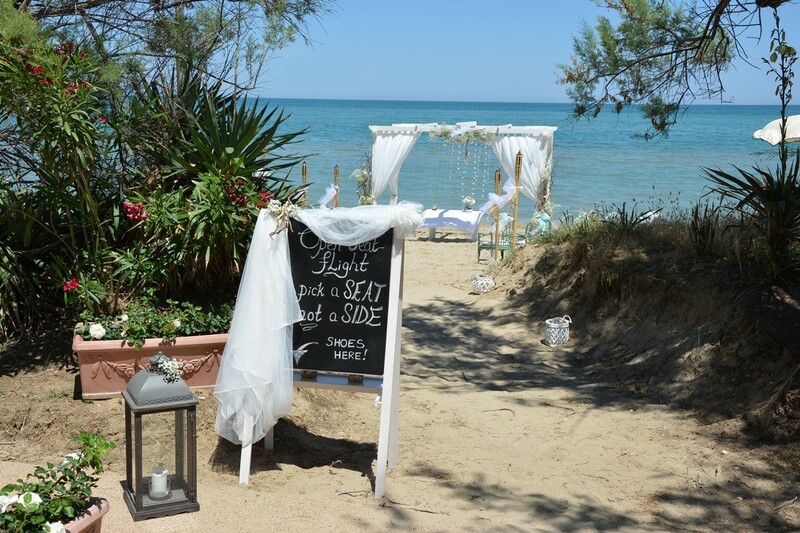 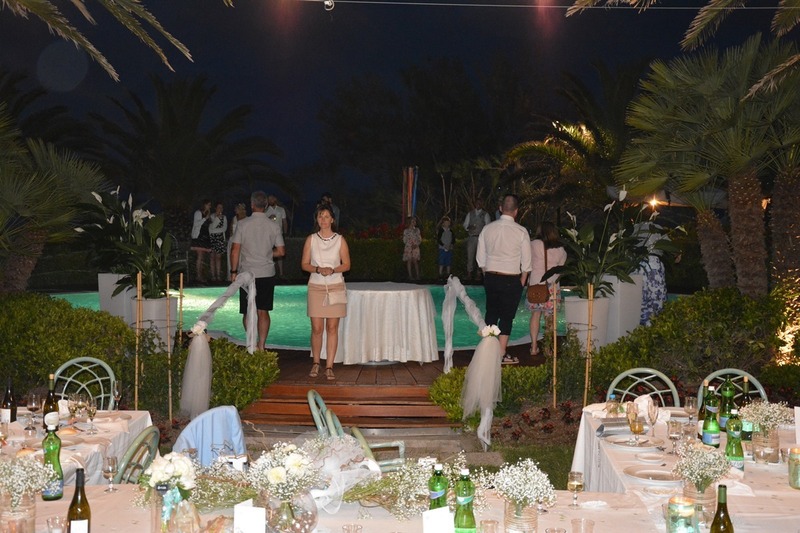 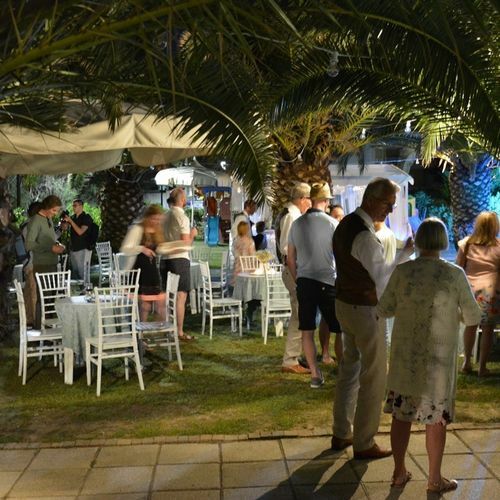 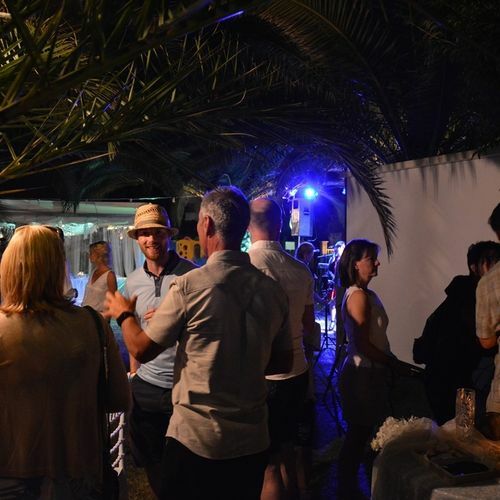 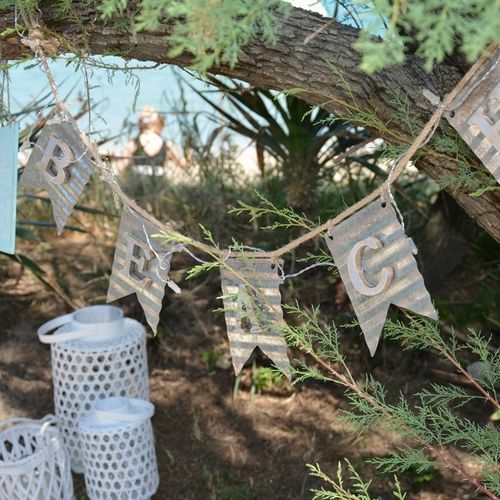 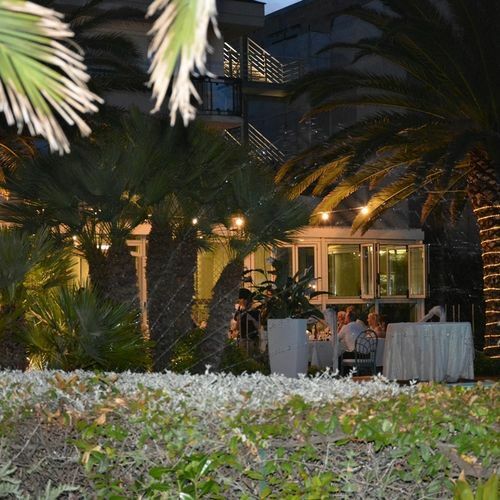 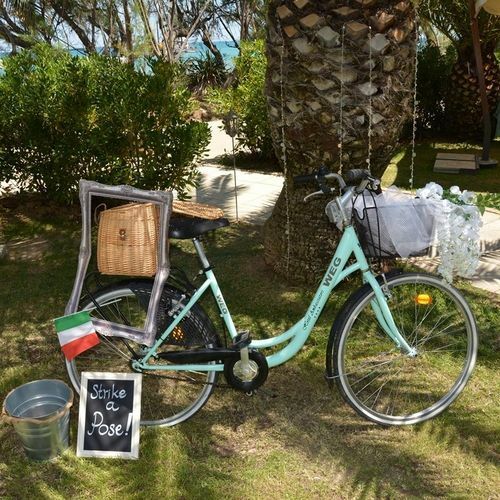 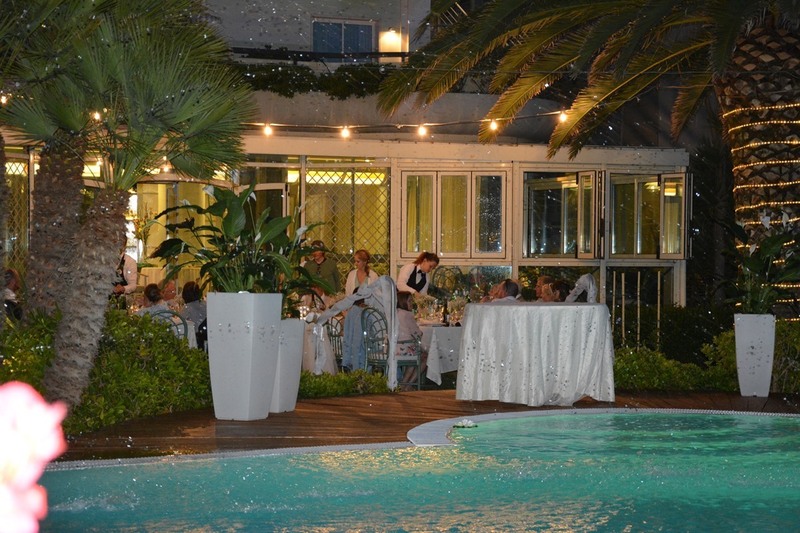 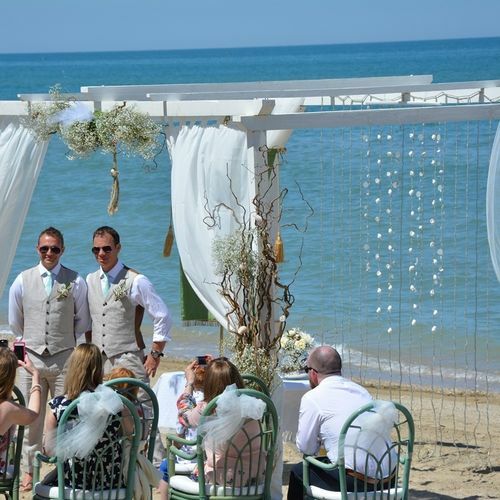 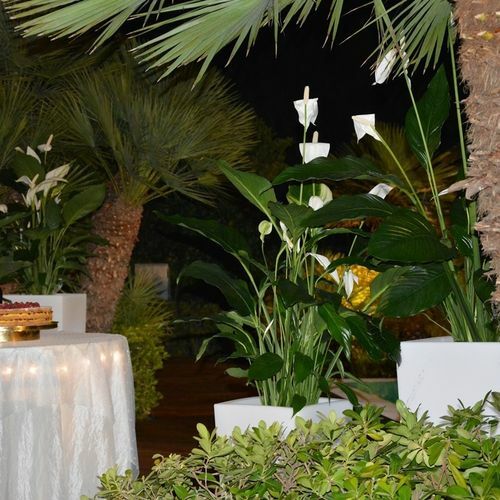 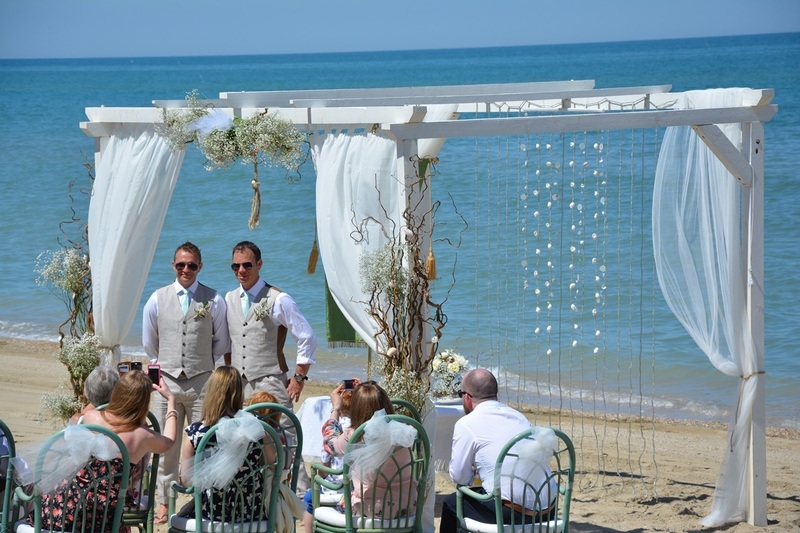 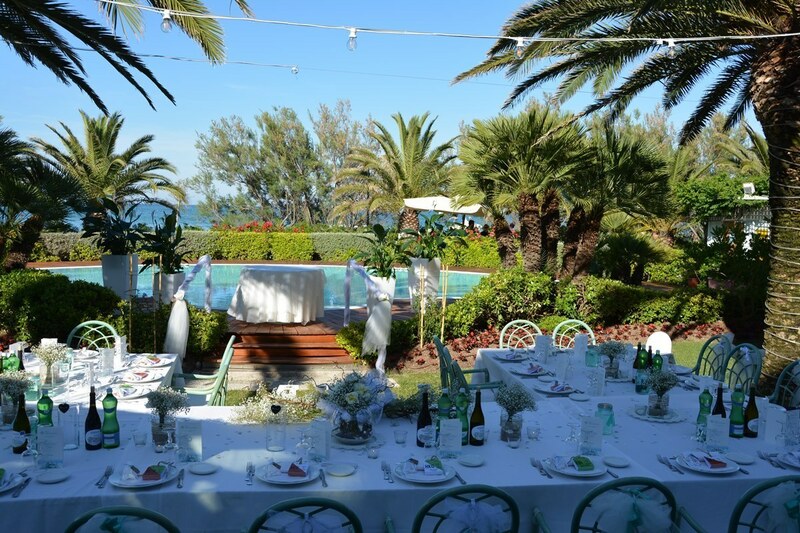 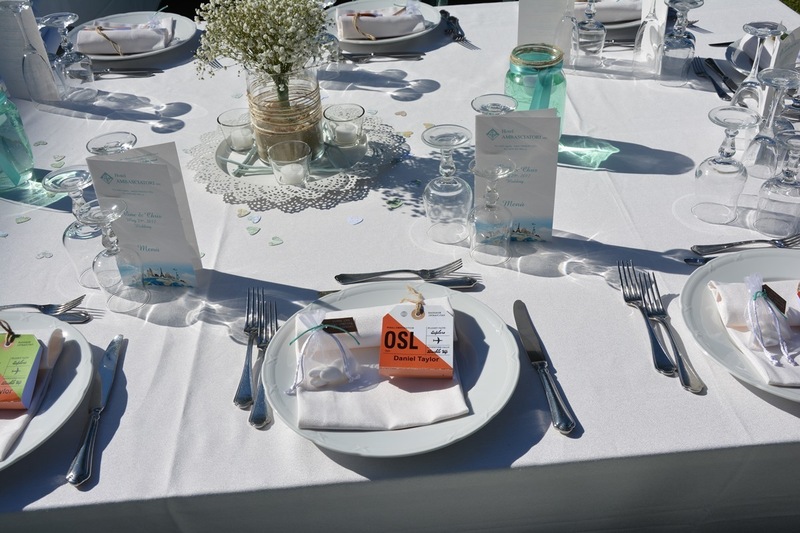 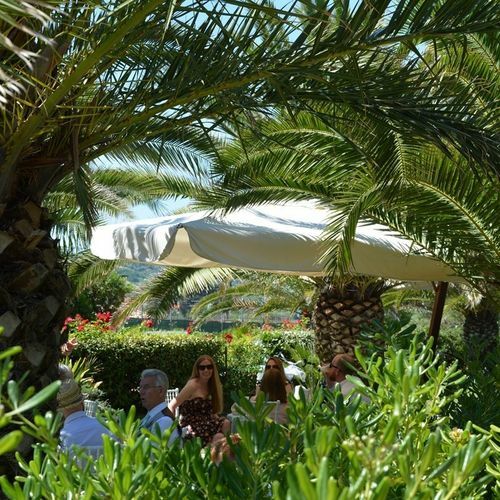 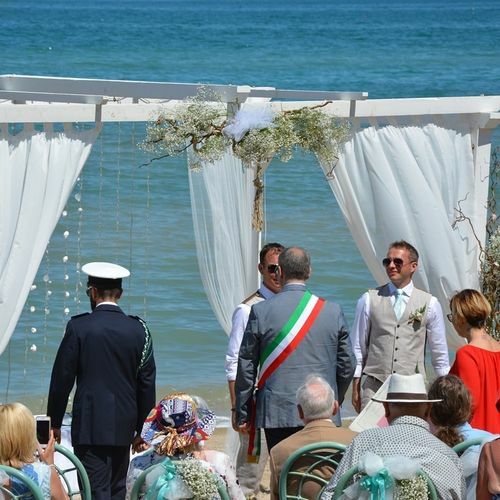 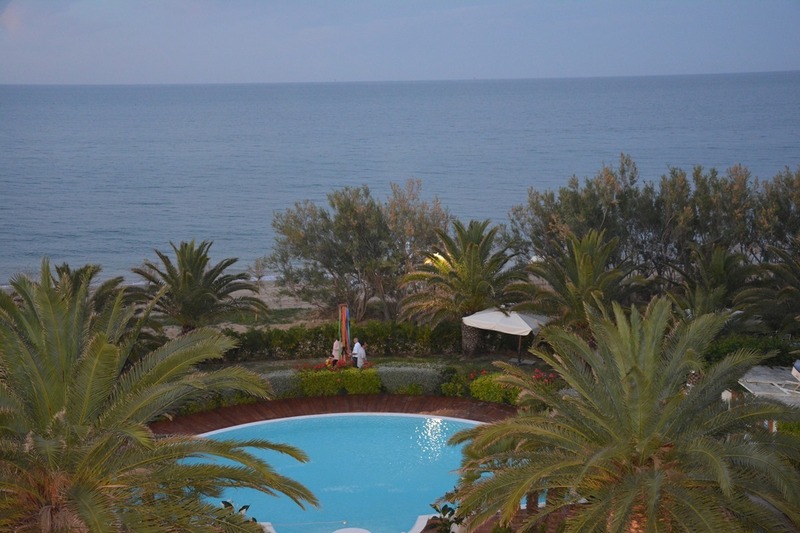 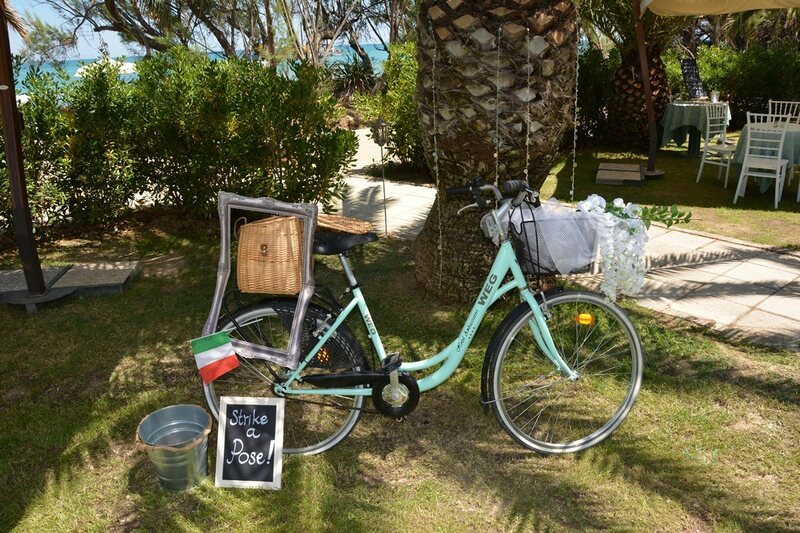 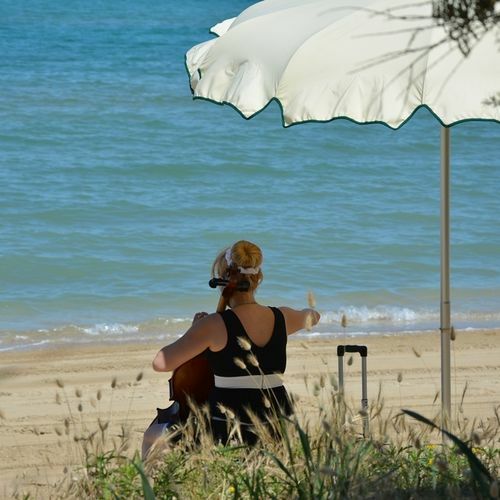 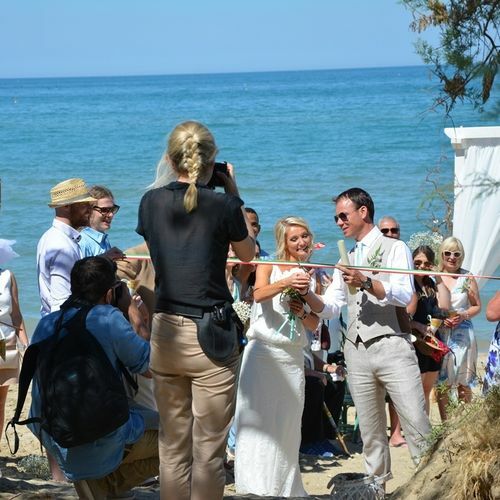 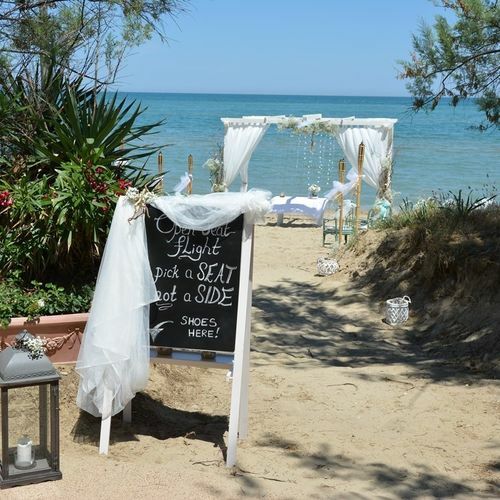 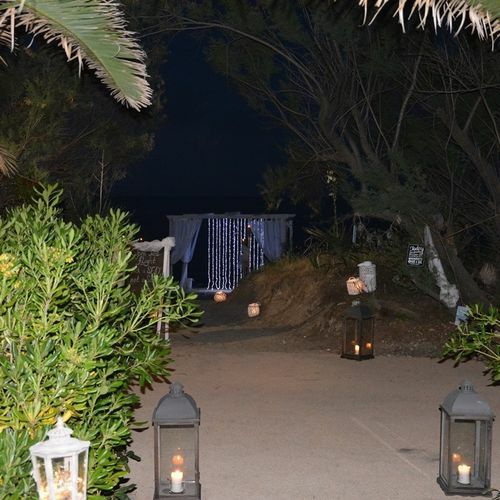 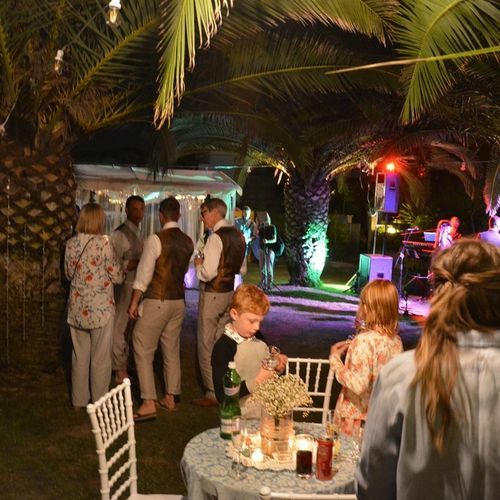 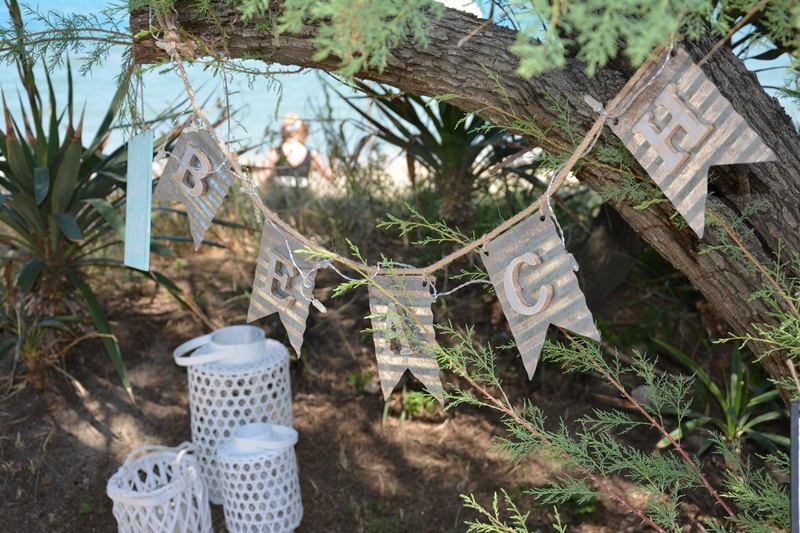 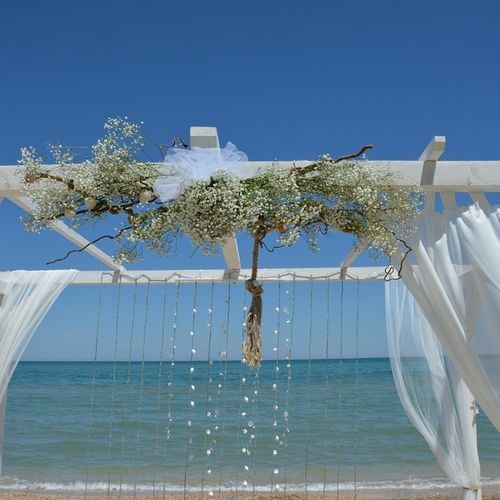 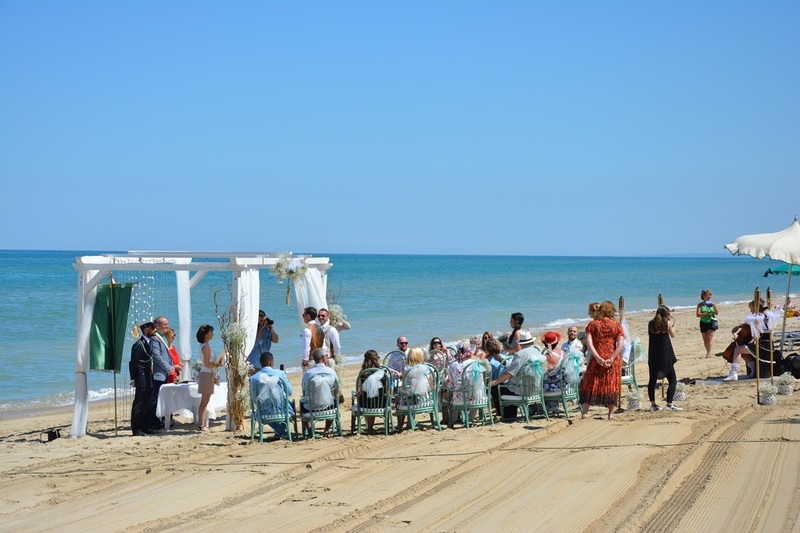 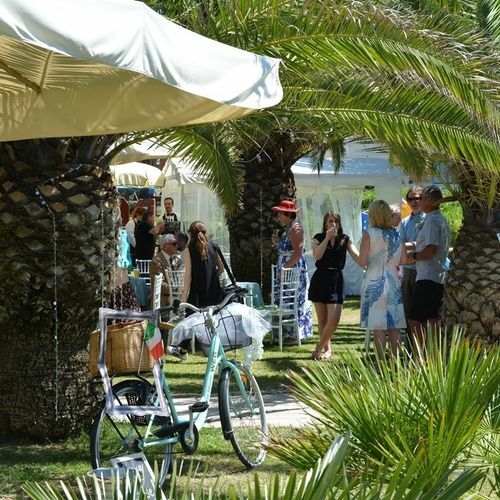 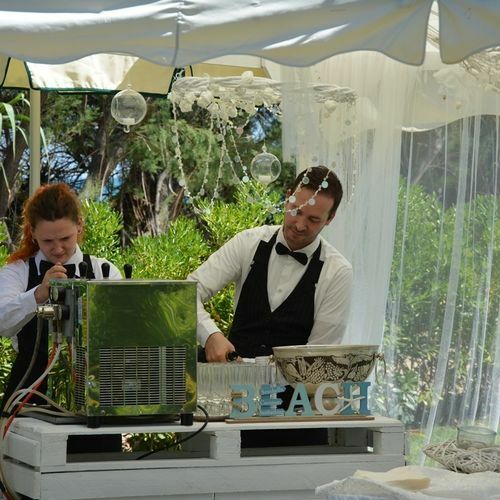 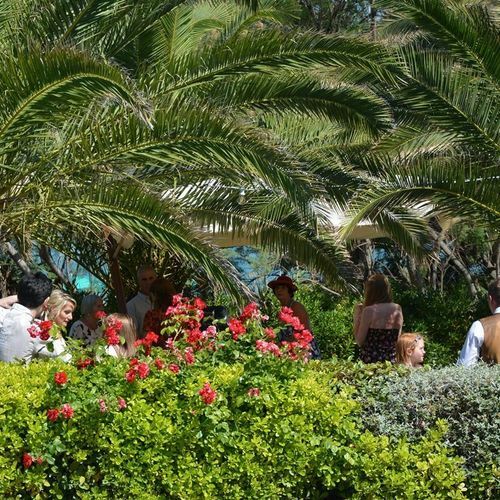 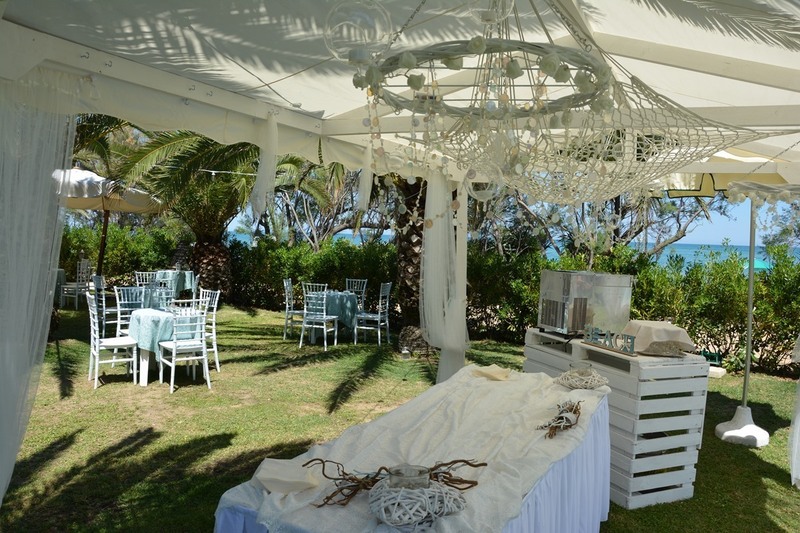 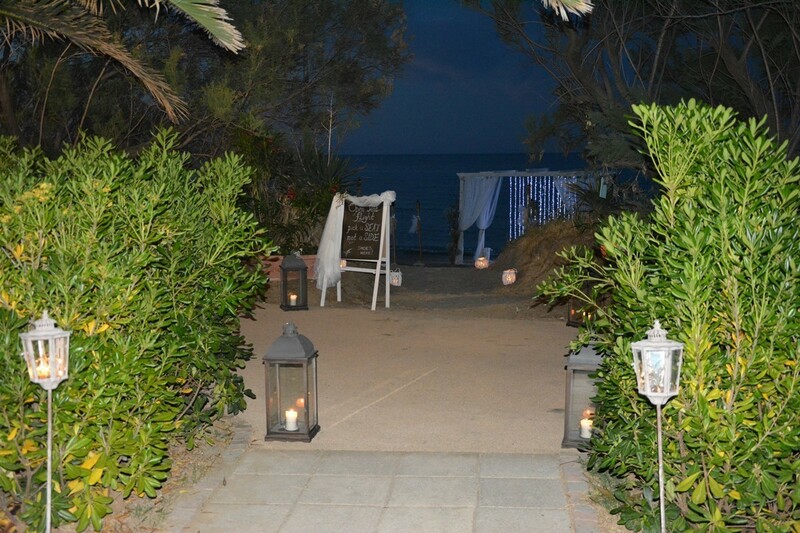 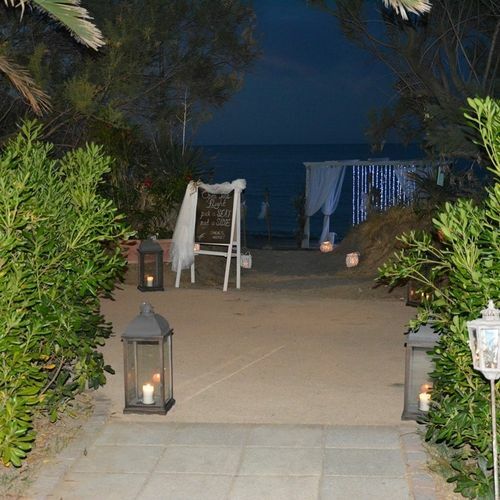 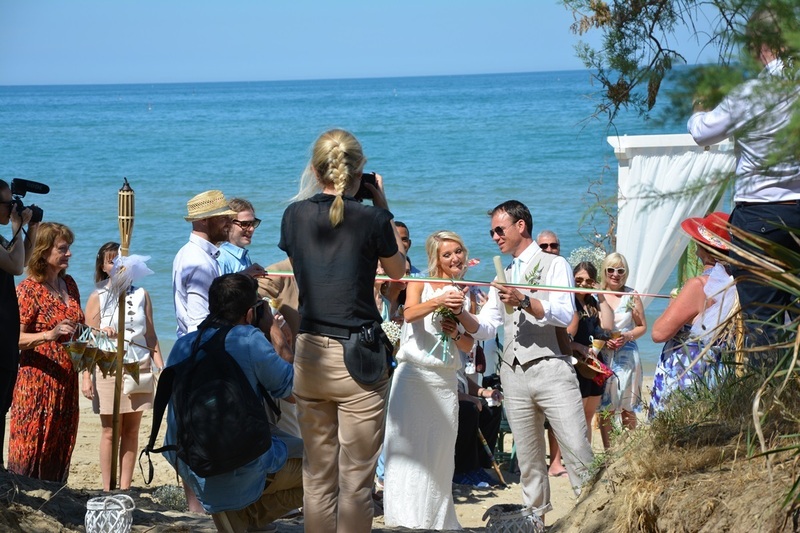 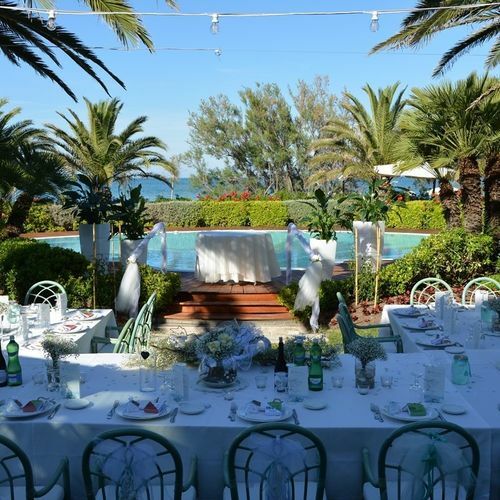 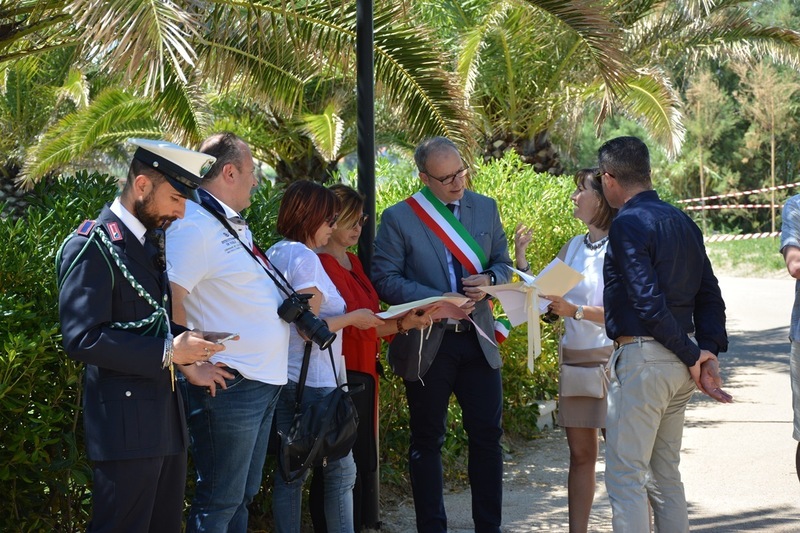 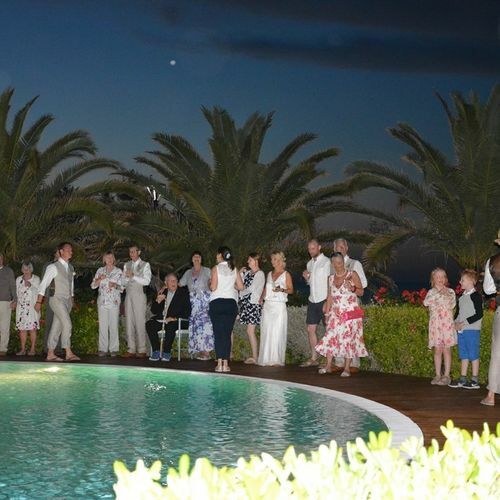 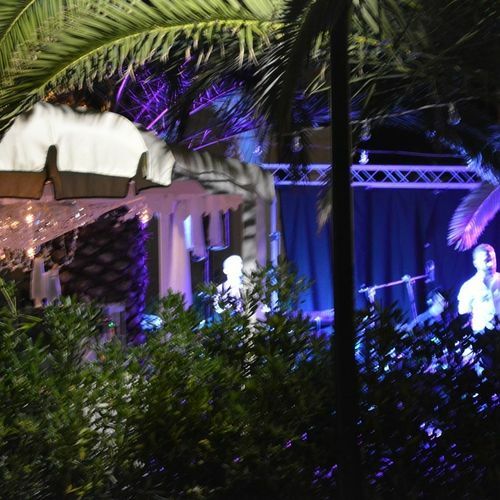 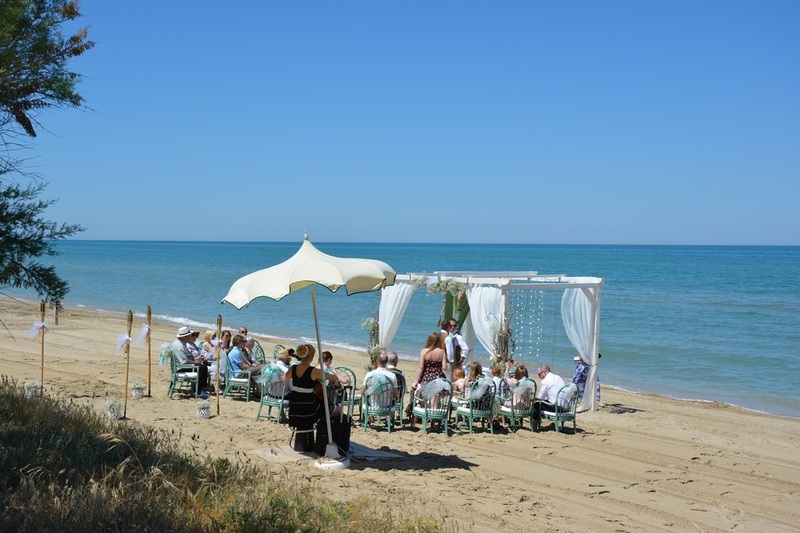 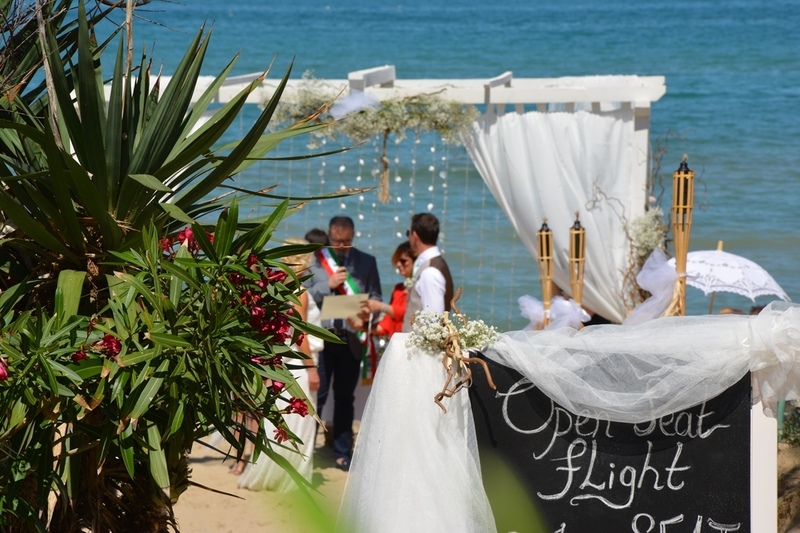 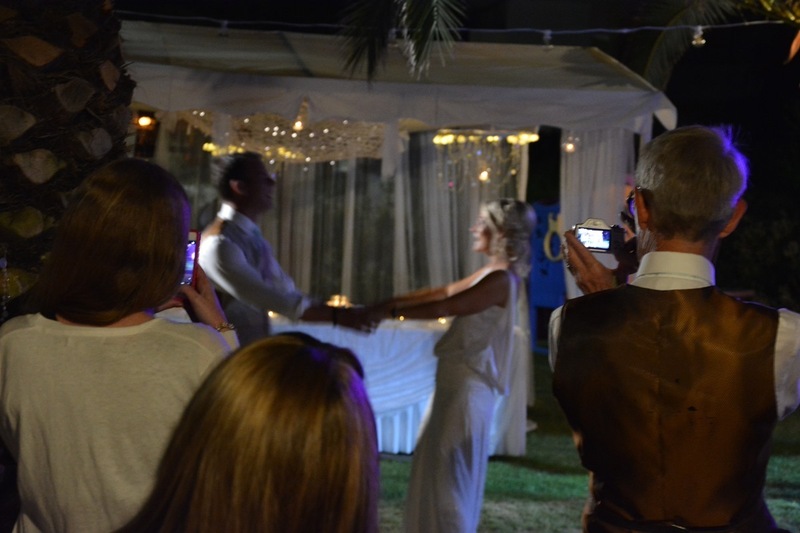 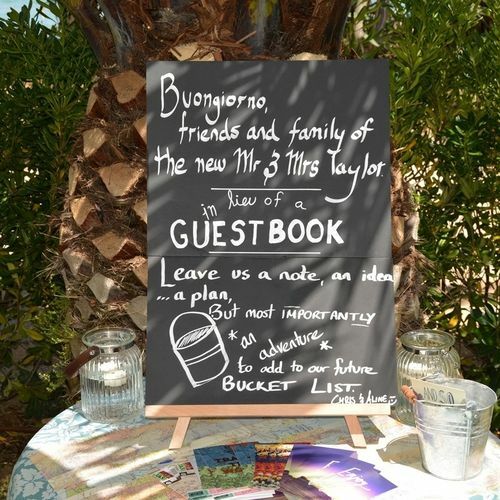 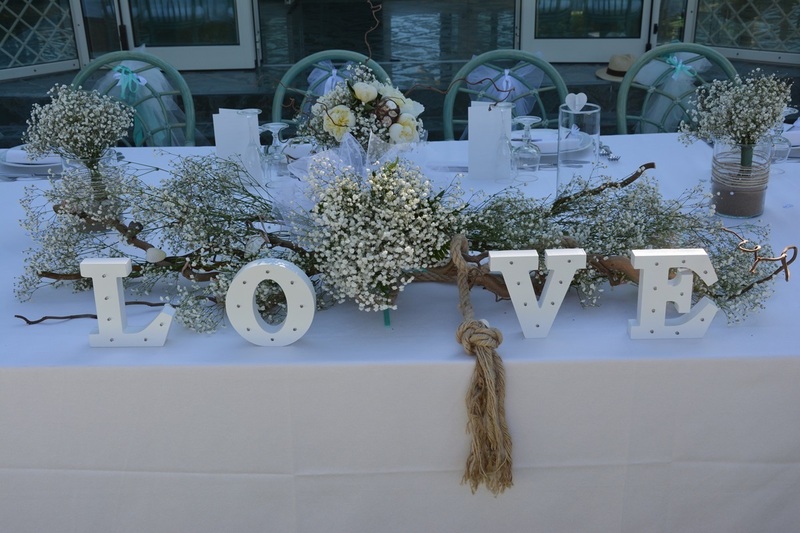 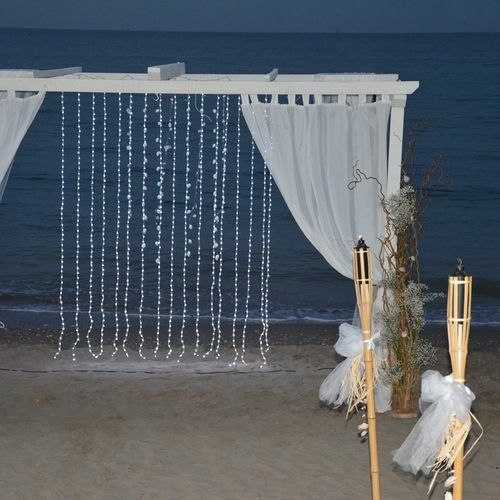 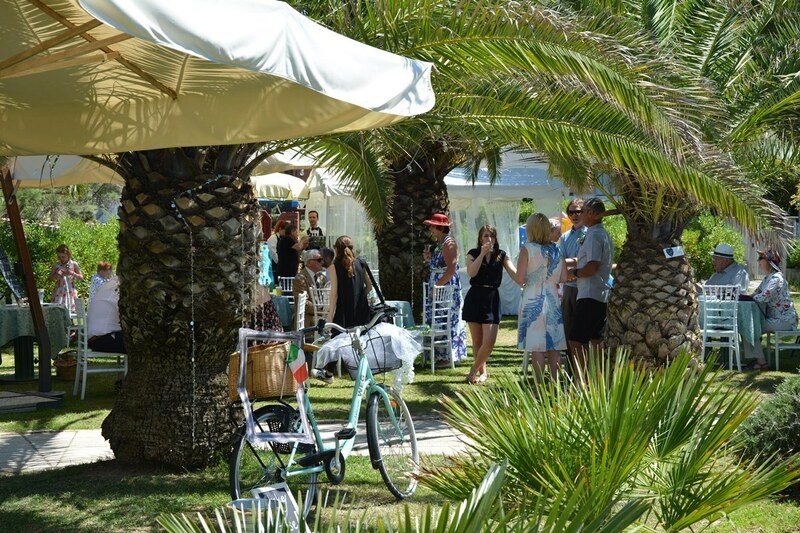 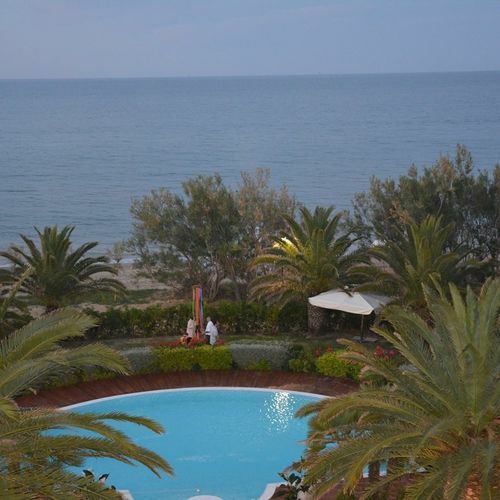 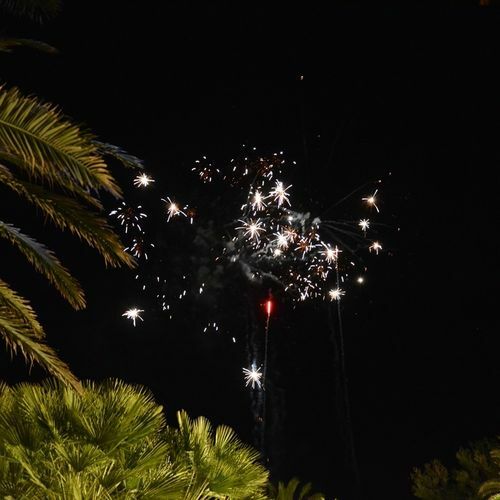 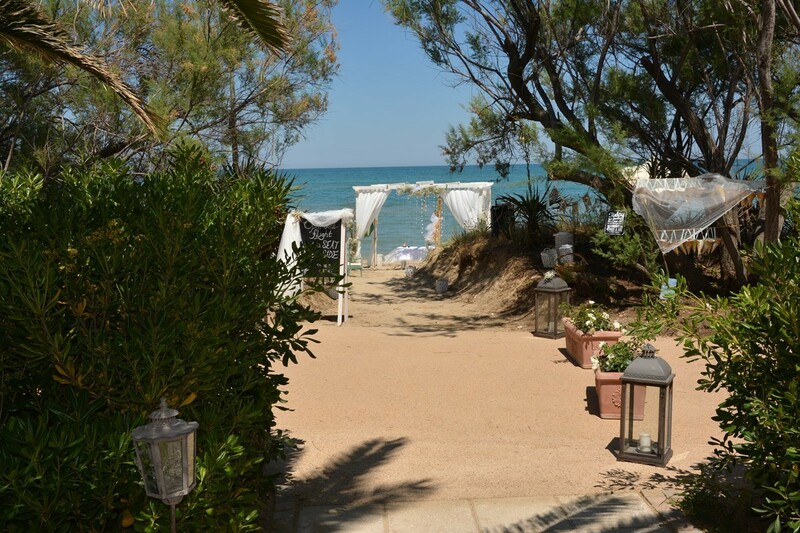 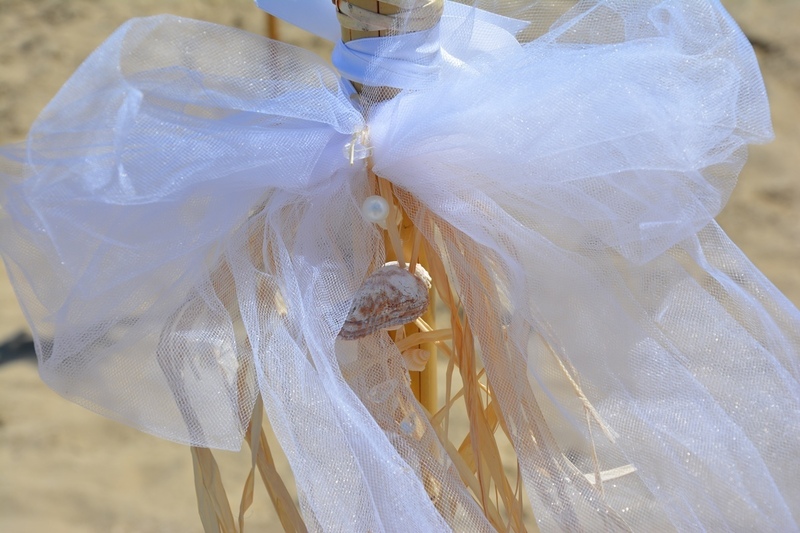 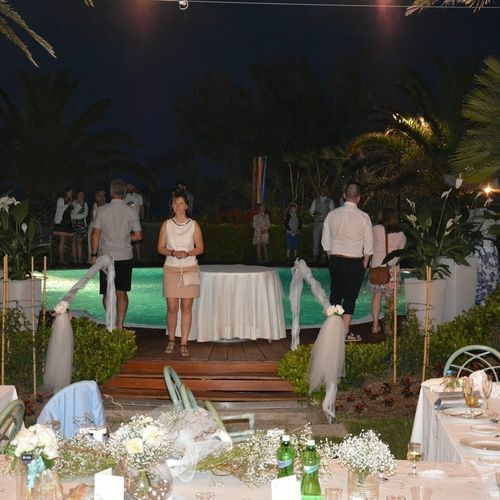 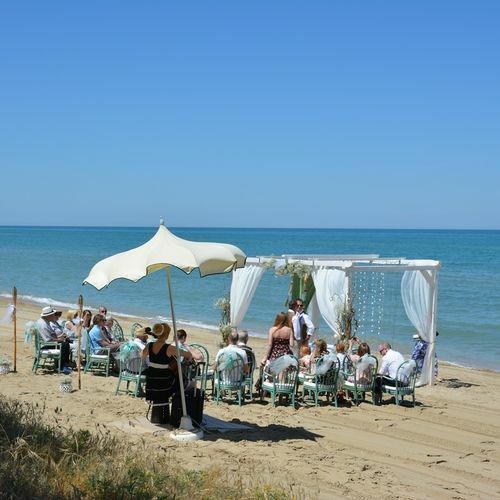 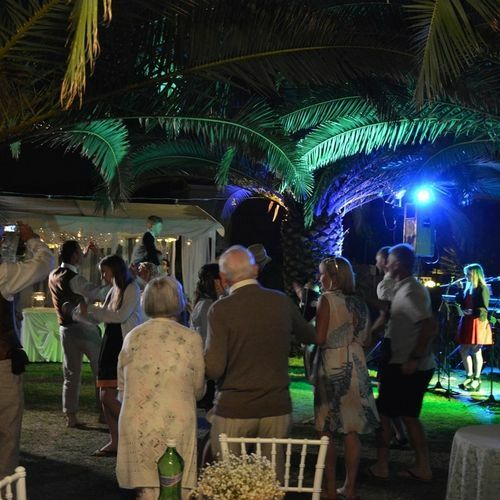 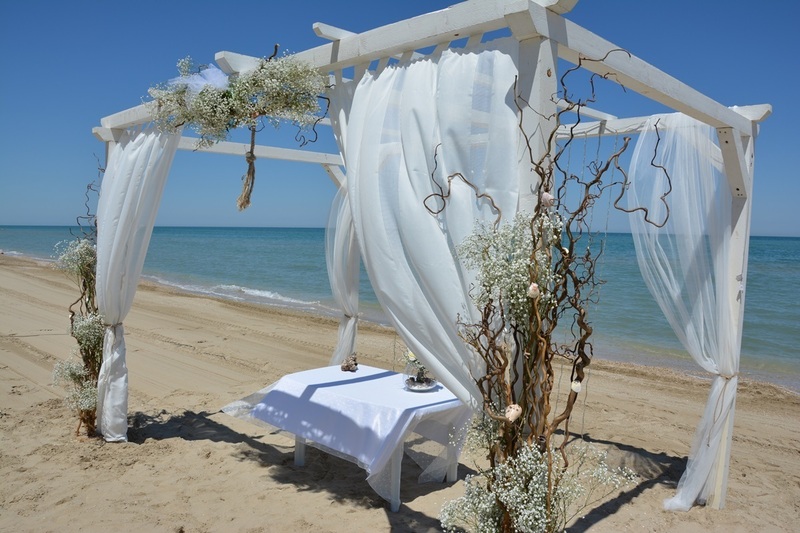 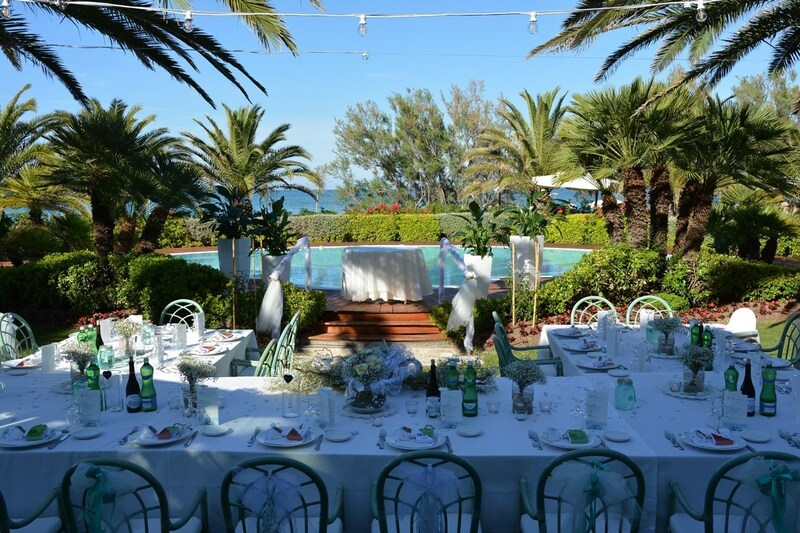 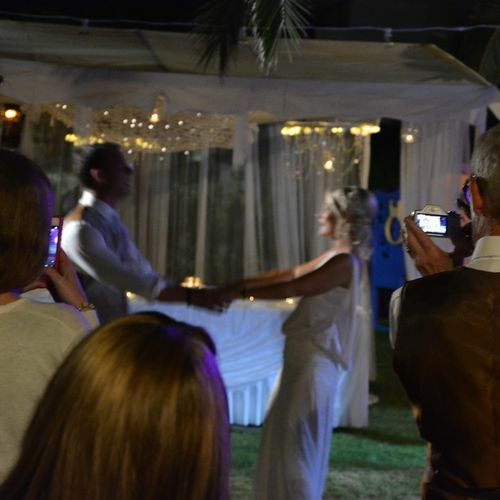 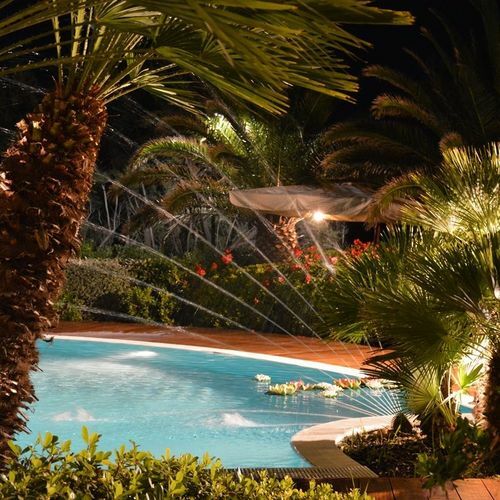 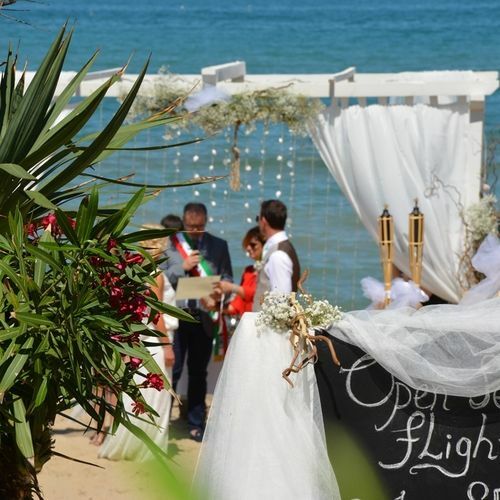 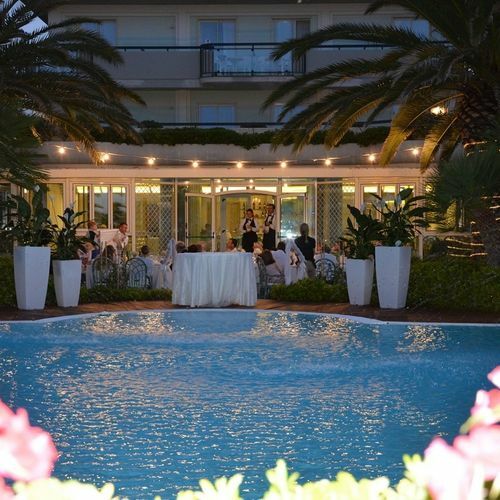 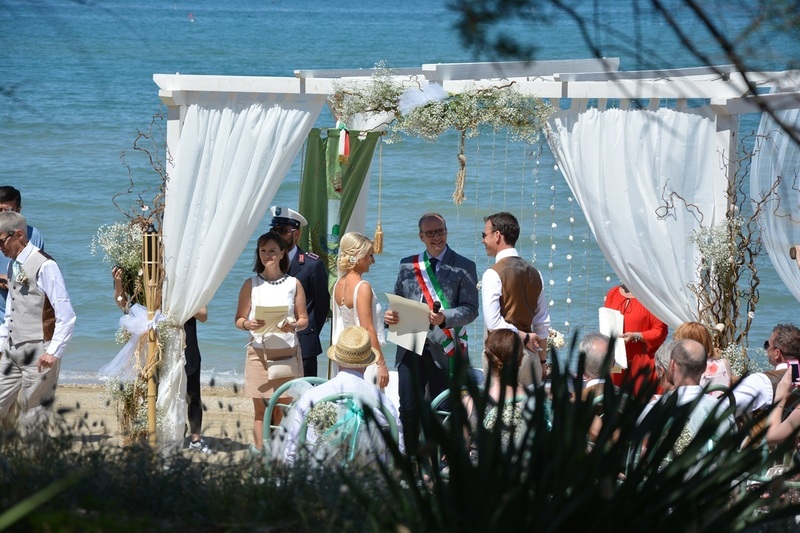 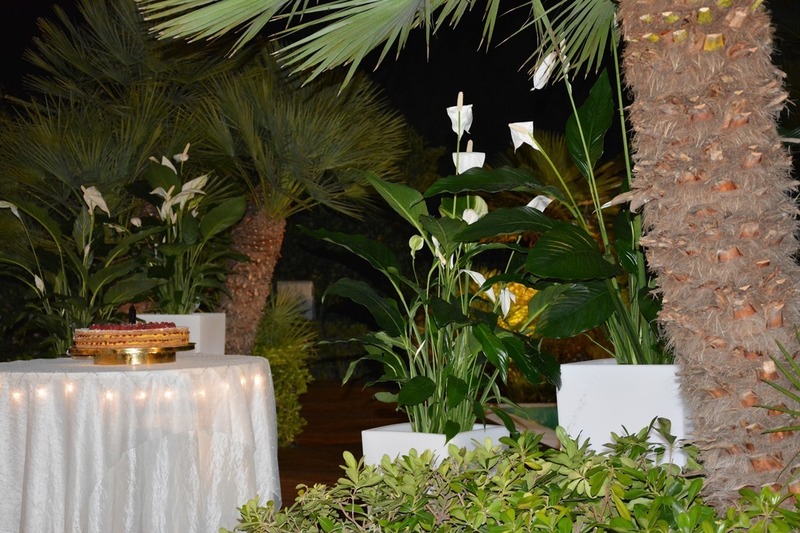 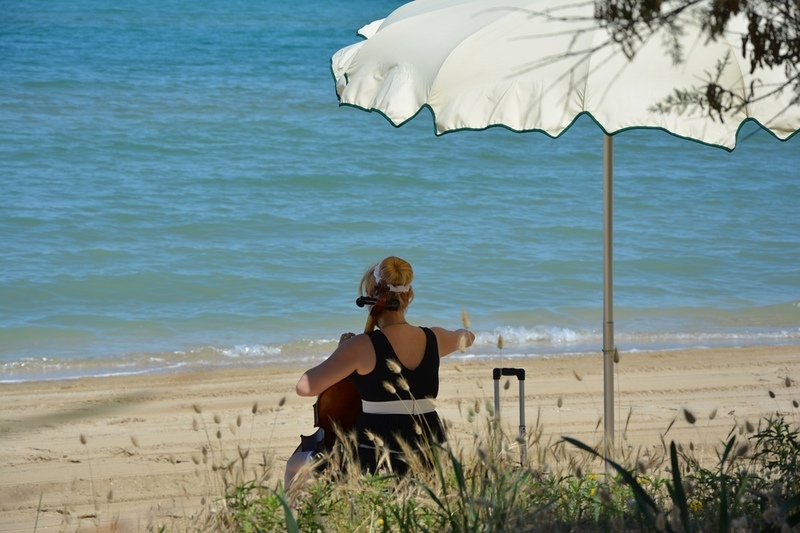 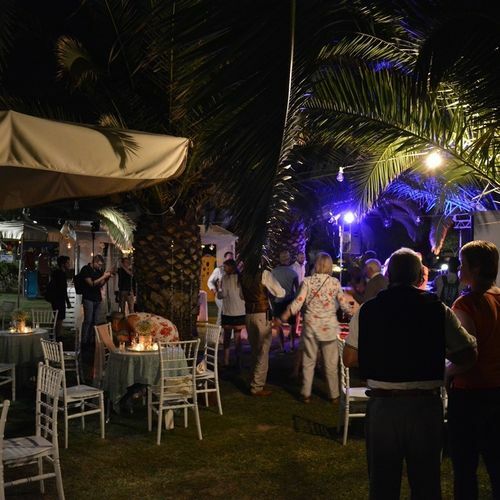 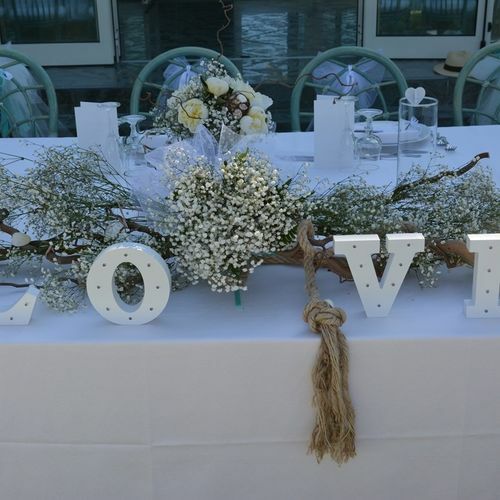 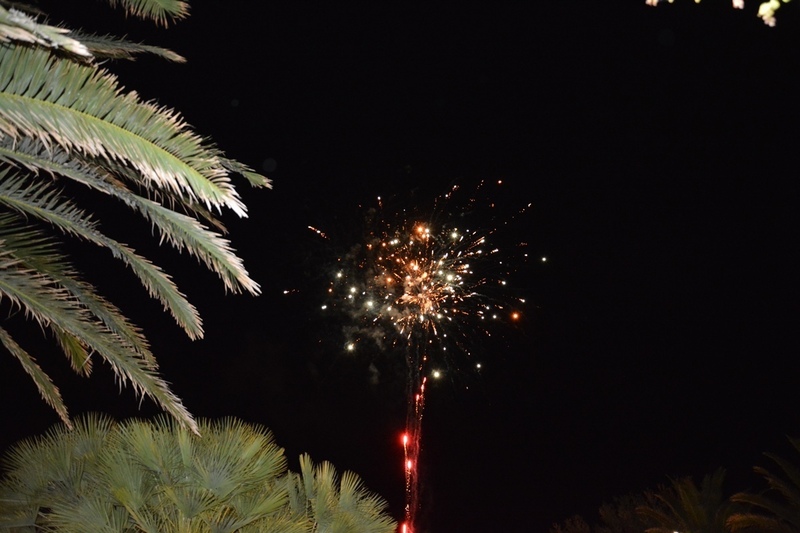 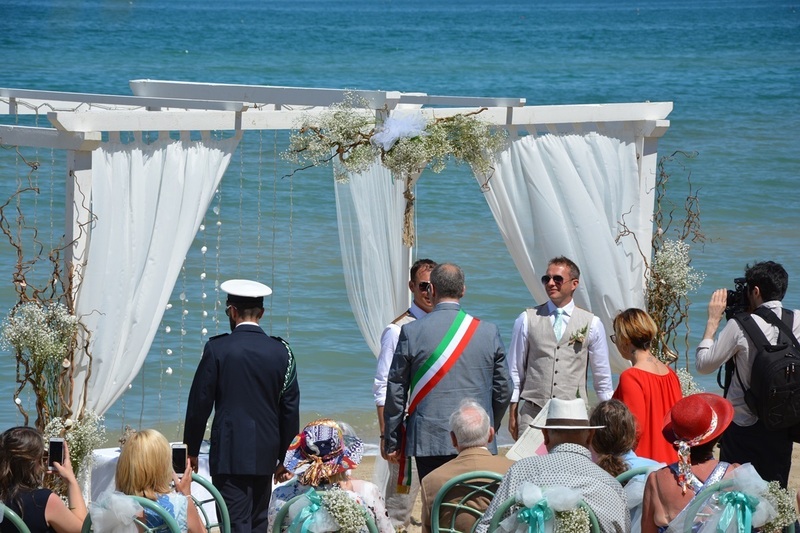 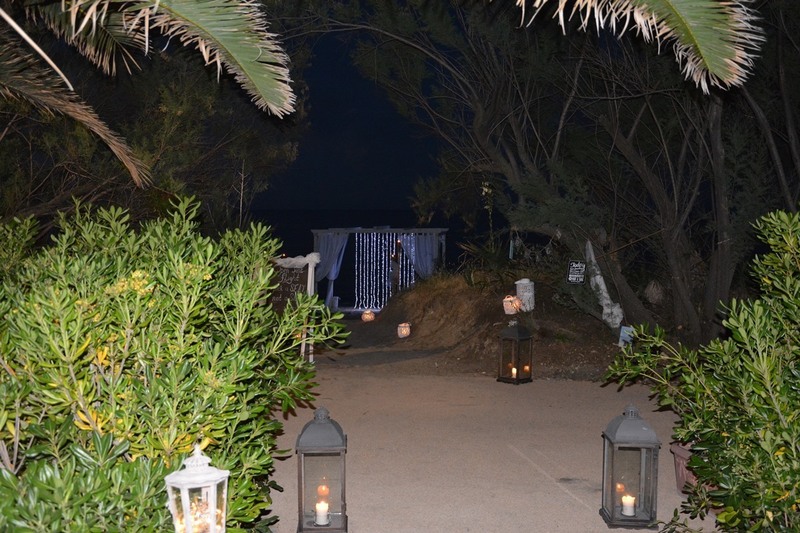 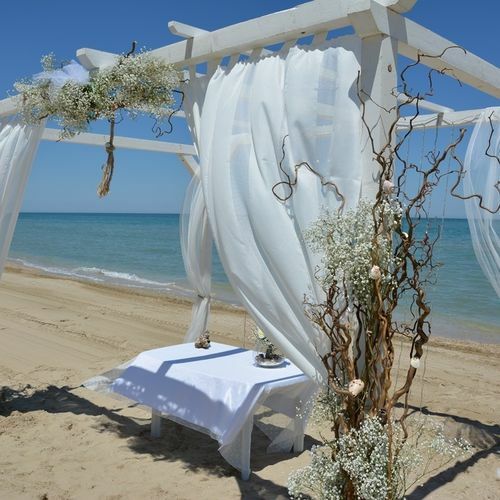 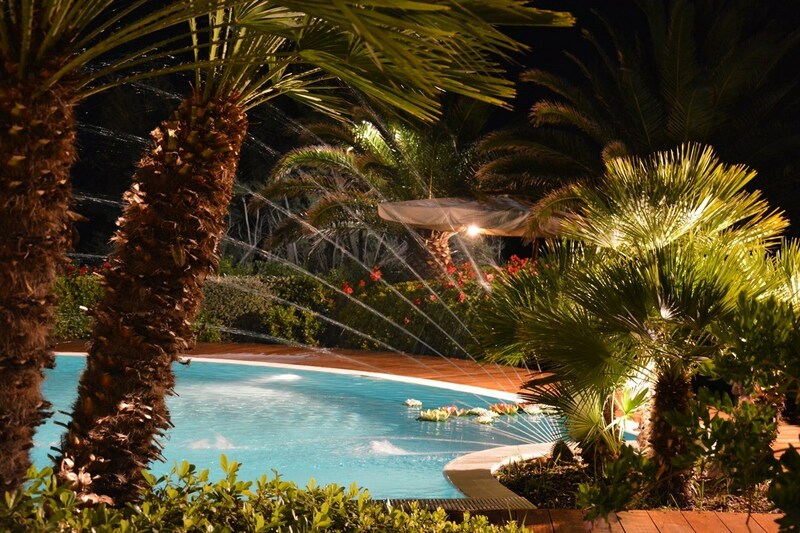 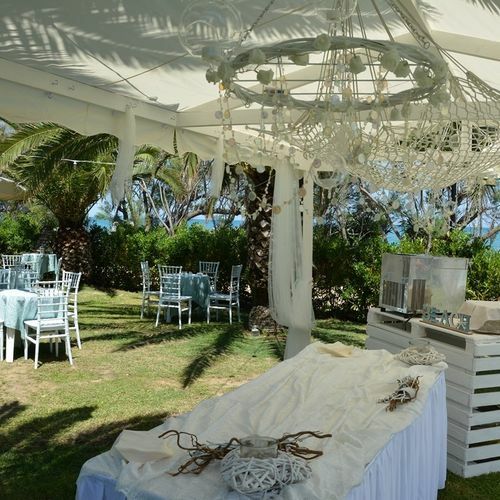 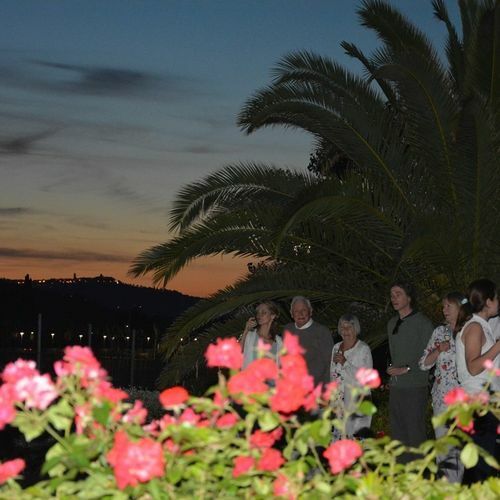 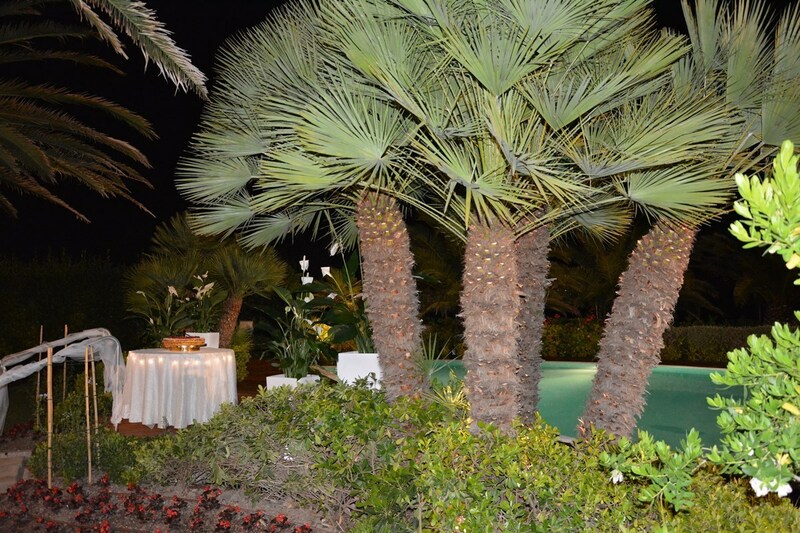 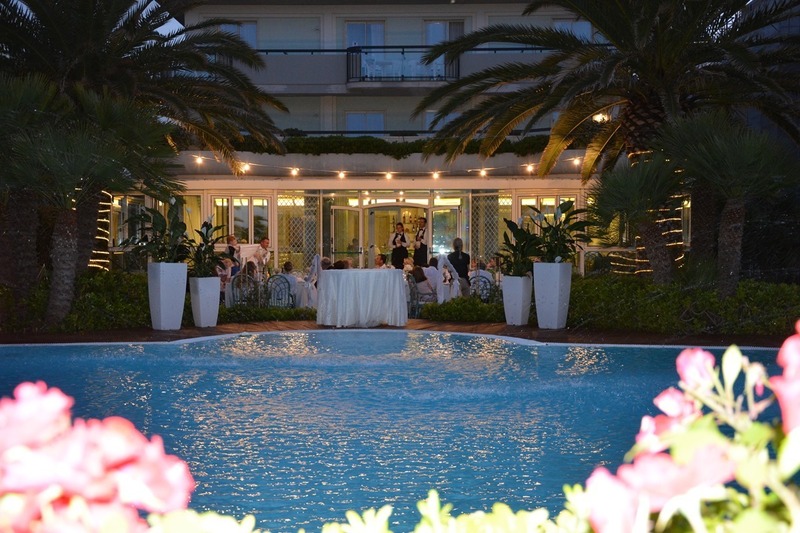 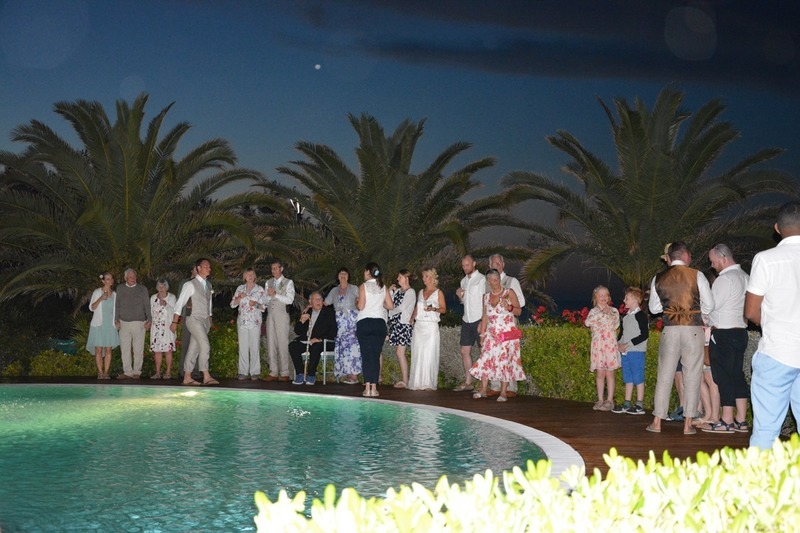 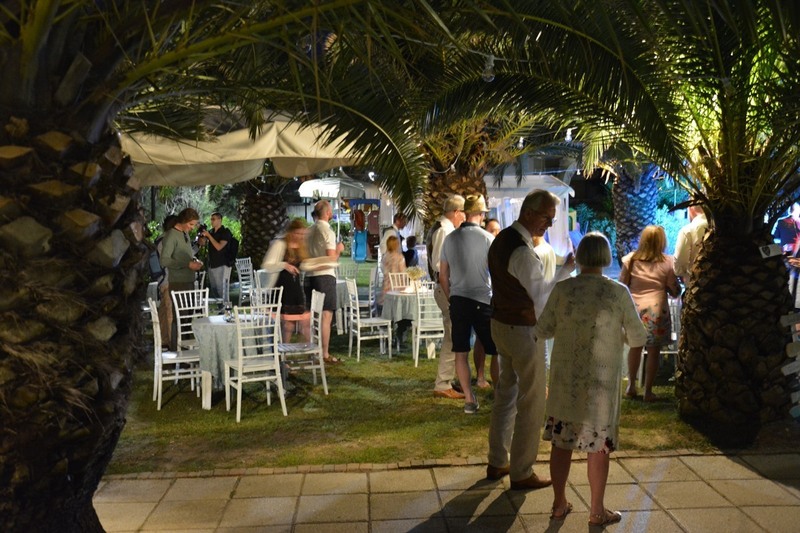 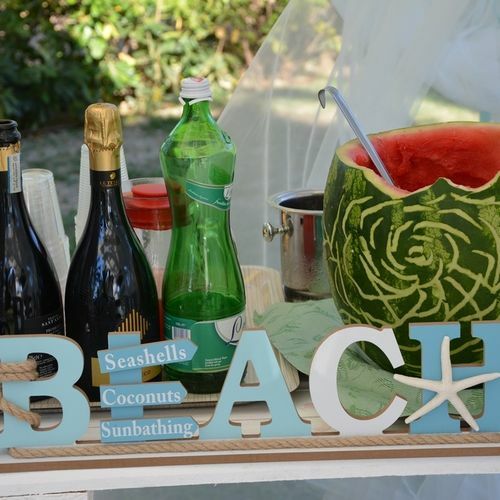 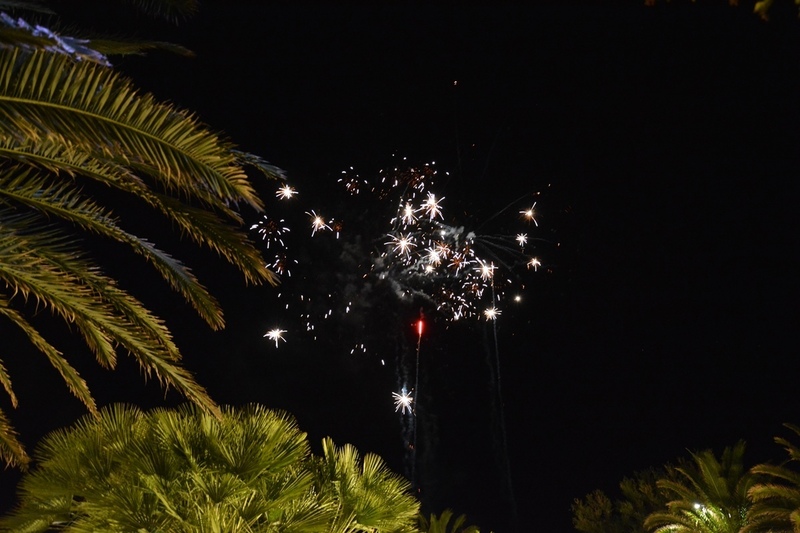 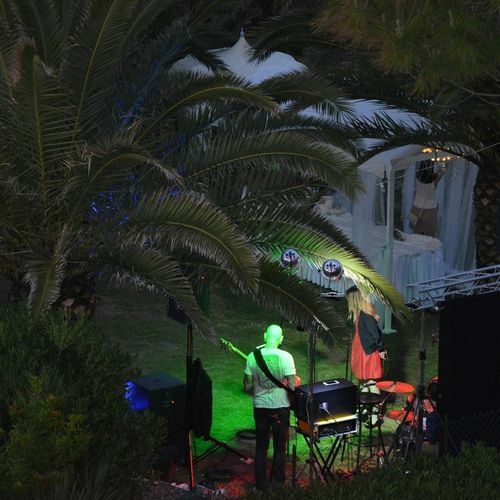 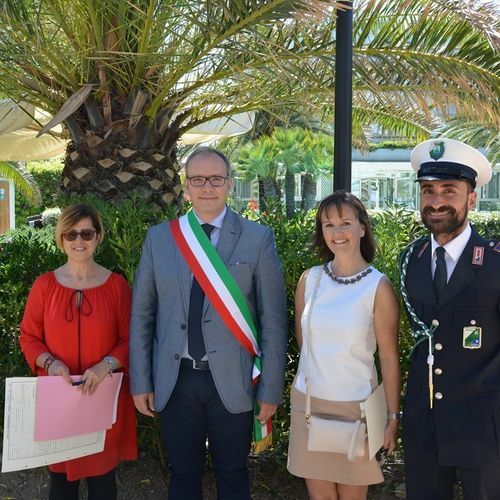 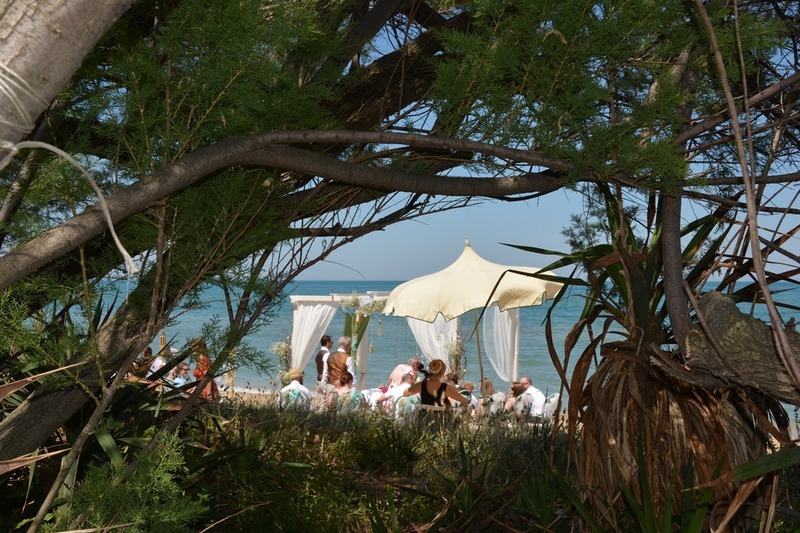 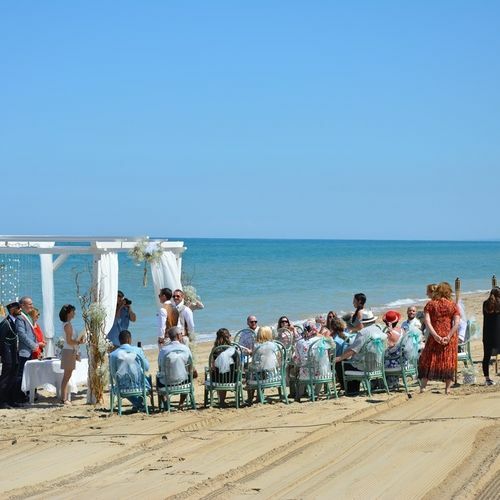 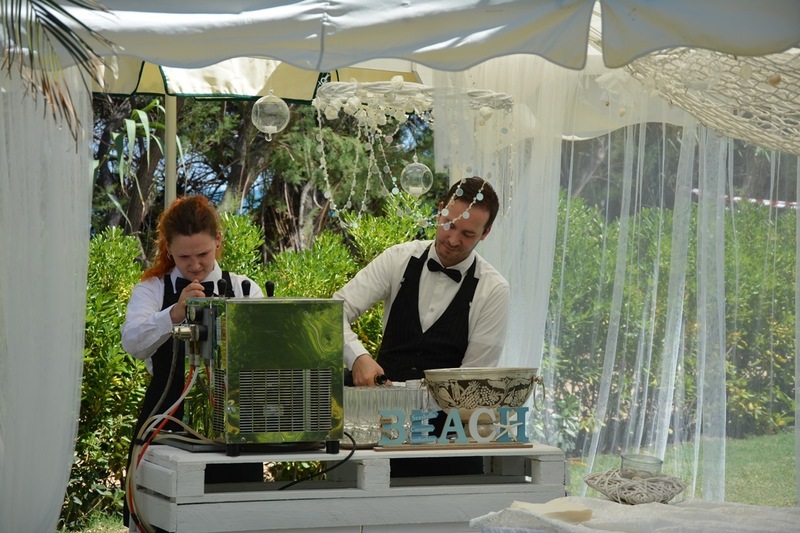 Well, what can we say, we have just recently returned from Italy where my husband and I got married directly on the beach at the beach Hotel in Pineto, Abruzzo. 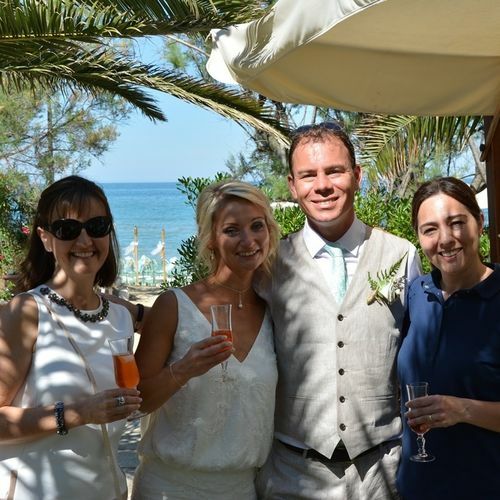 Of course, we expected to have an amazing day, but the whole event exceeded our expectaions due to Emma Docwra and her team. 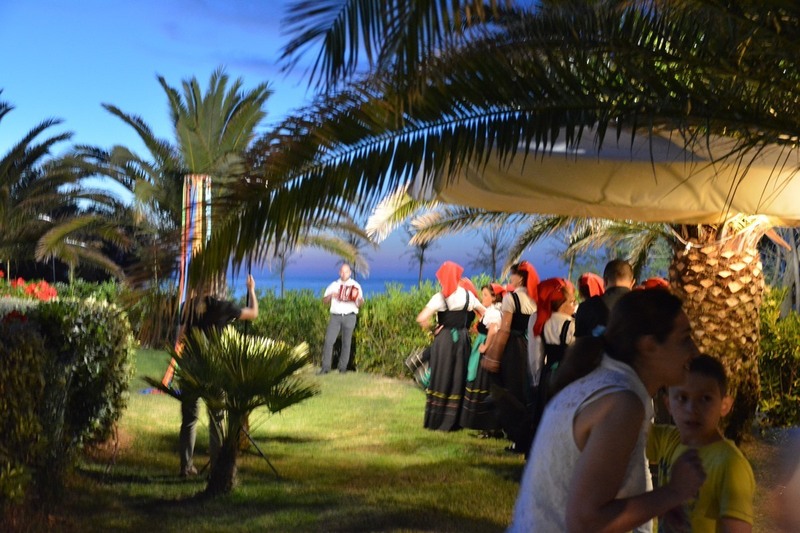 Being British herself there was no language barrier for us, which was useful with the dozens of e-mails and texts which passed between us over the last few months. 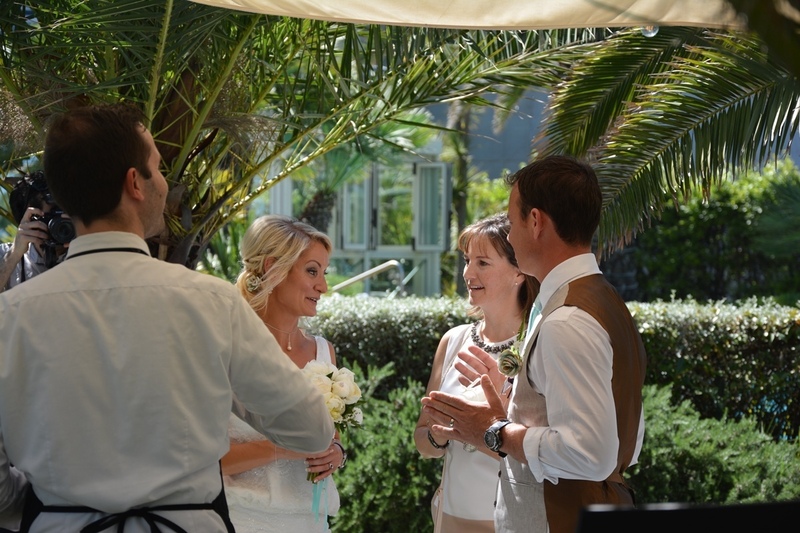 She was brilliant in getting back to us via text and e-mail to answer the many questions we had along the whole way. 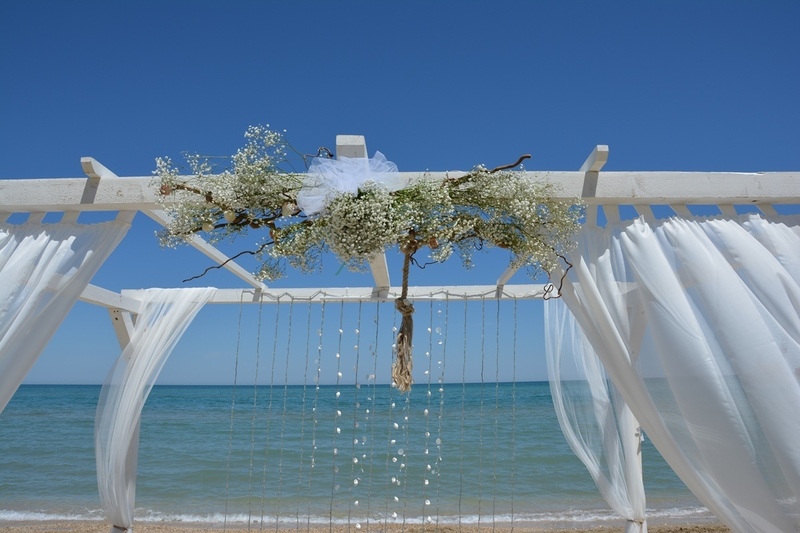 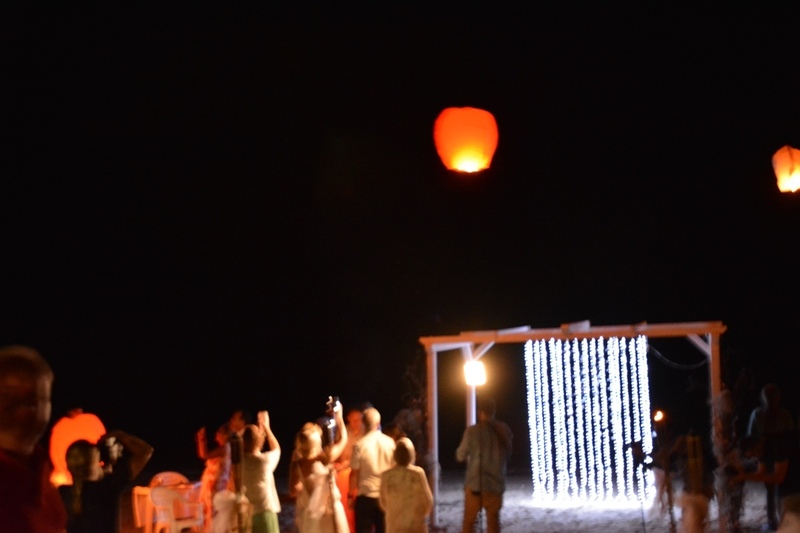 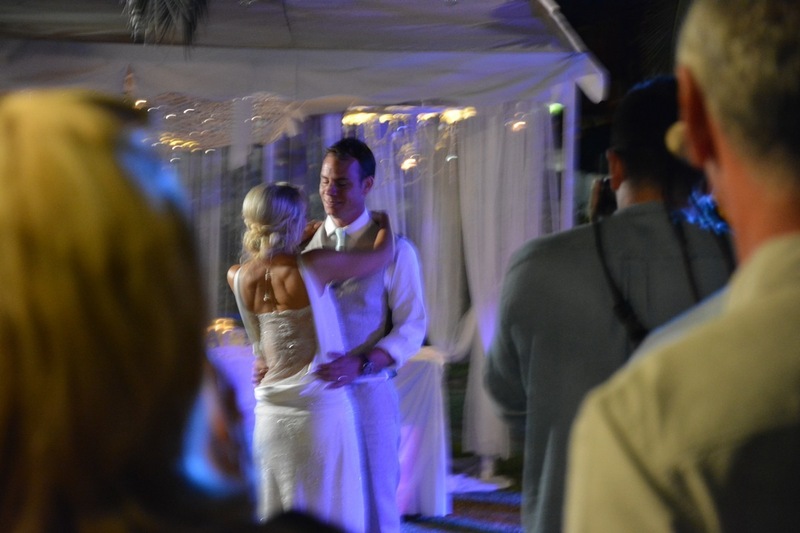 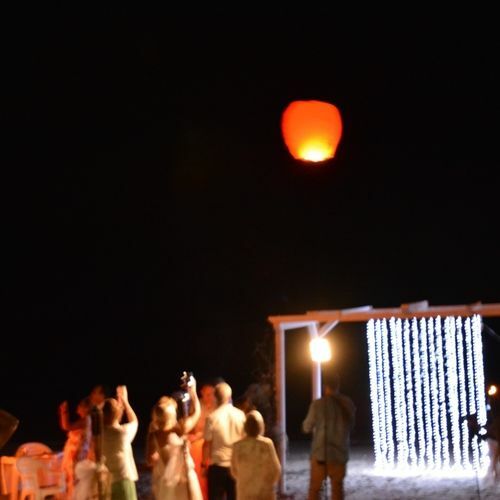 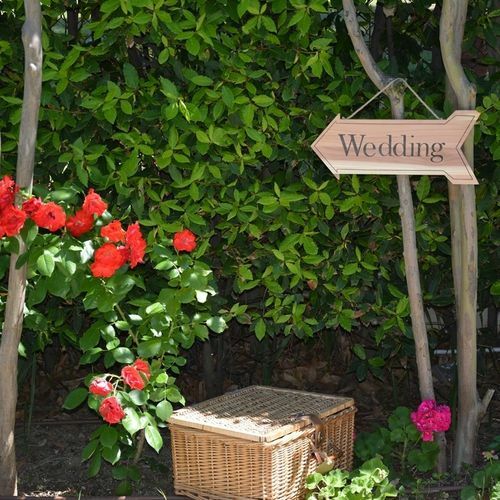 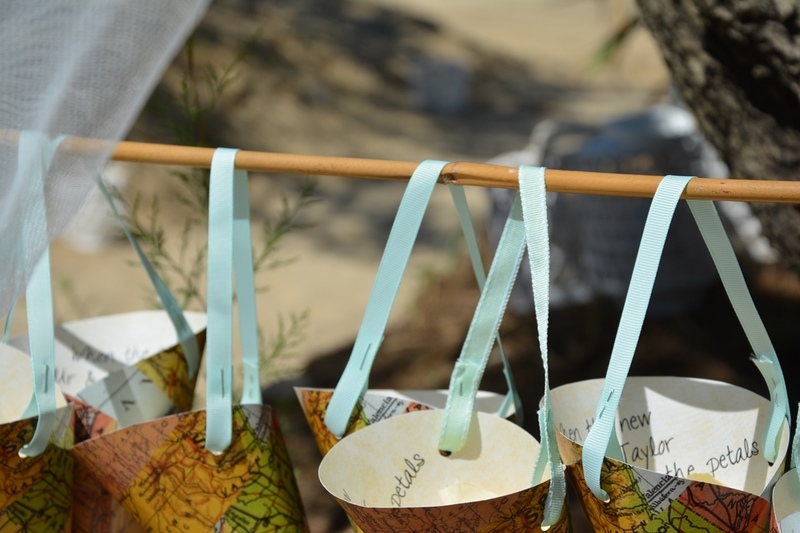 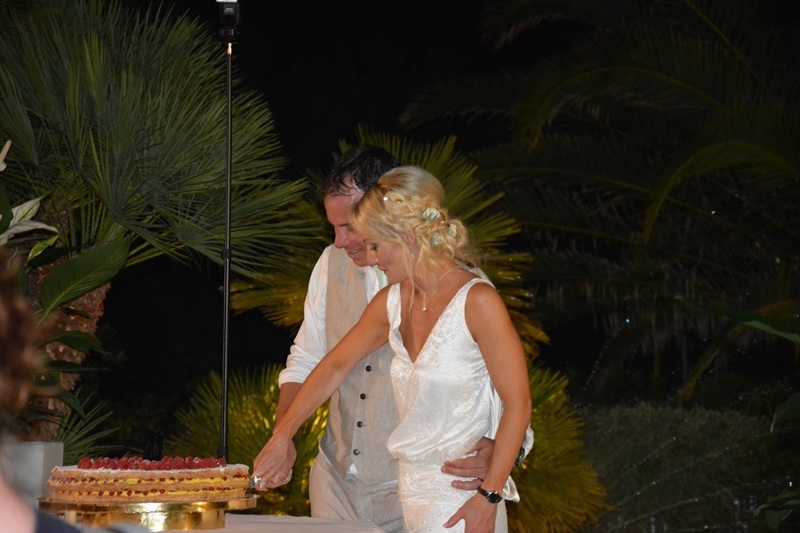 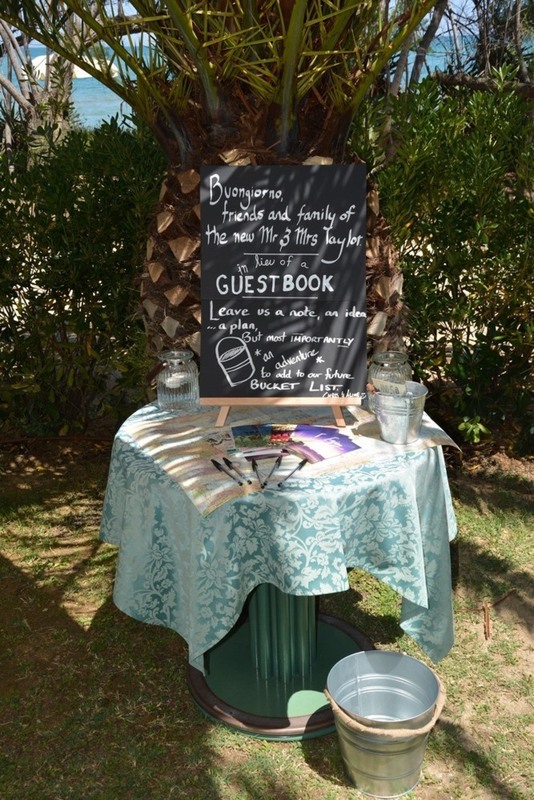 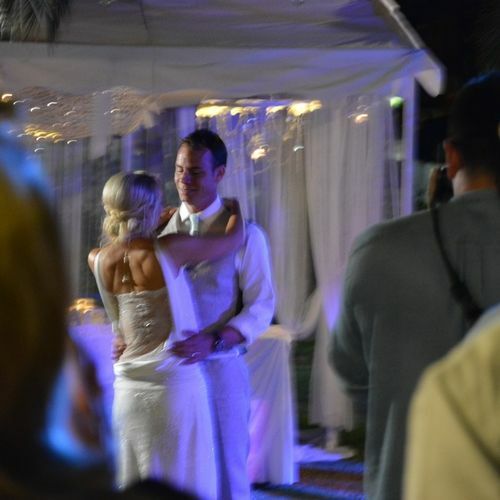 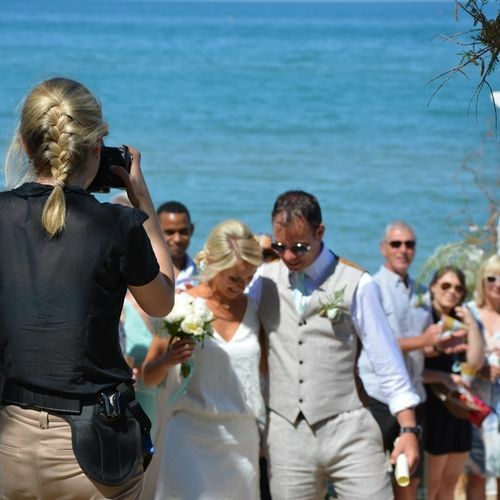 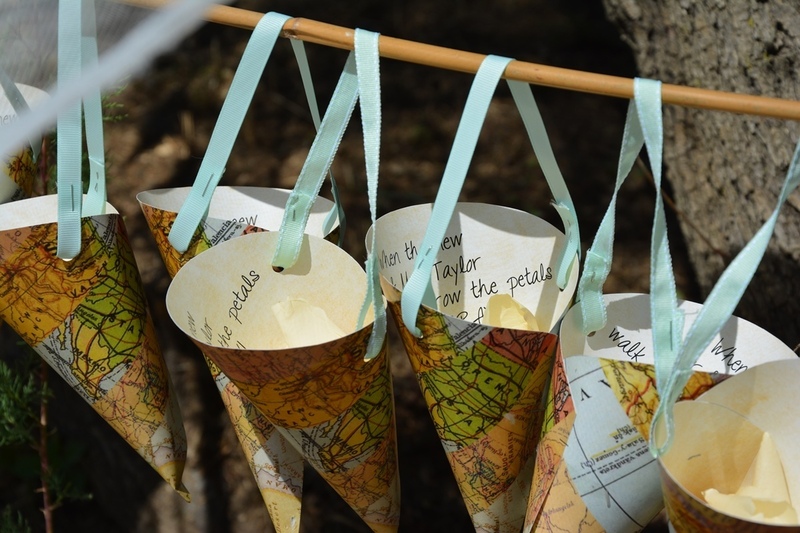 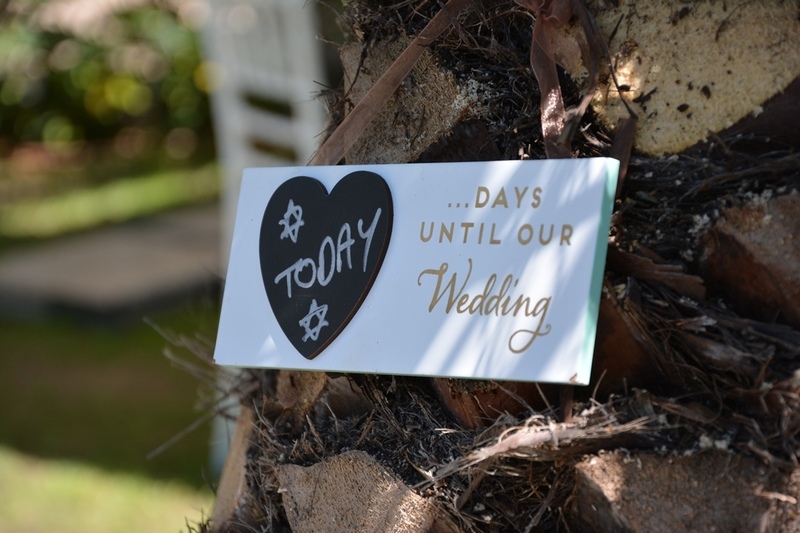 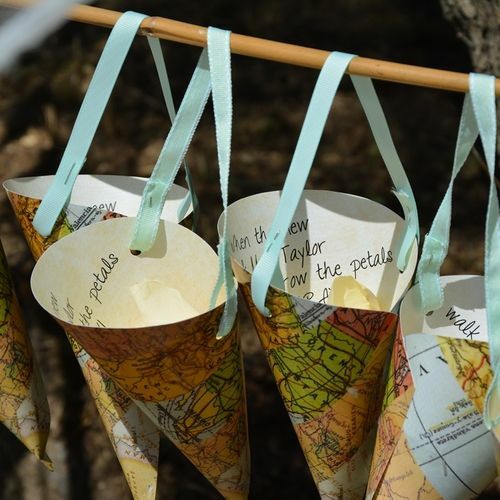 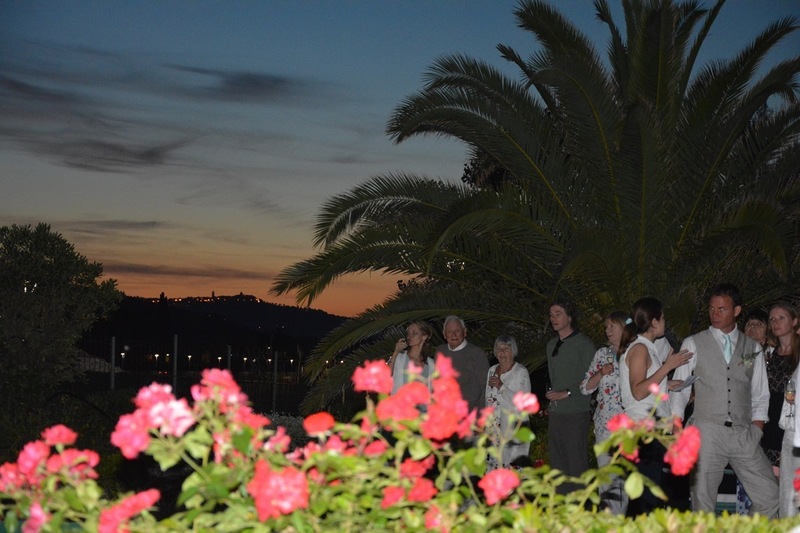 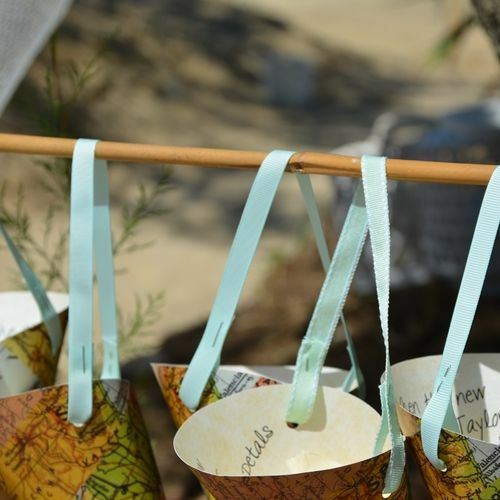 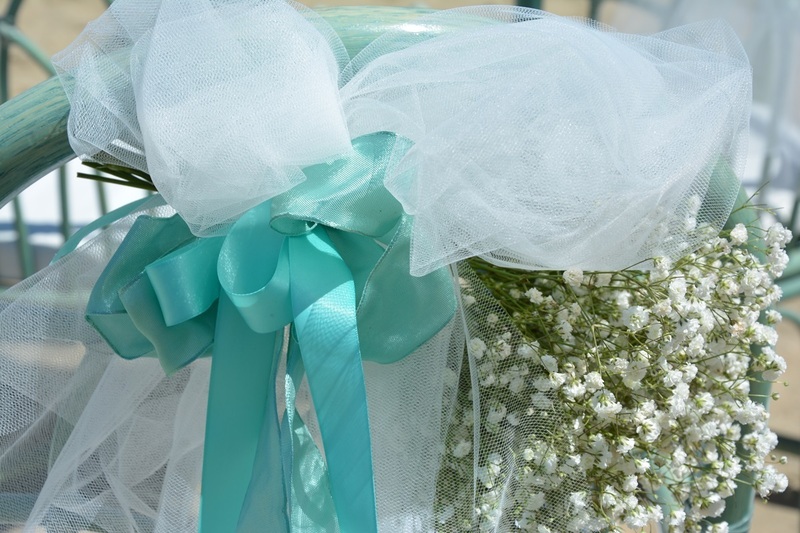 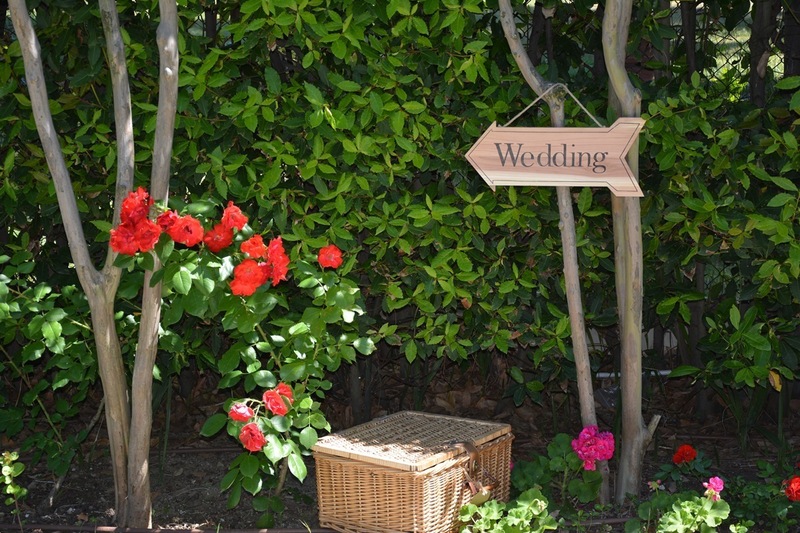 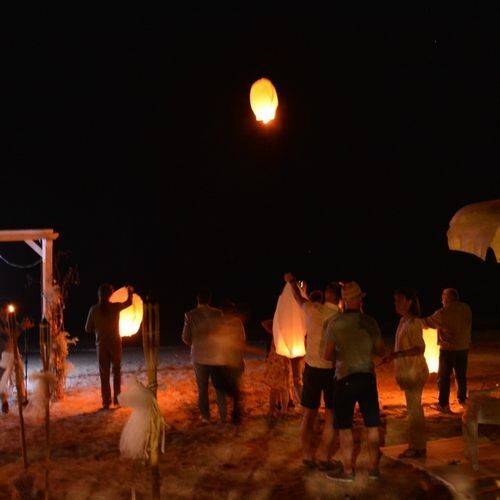 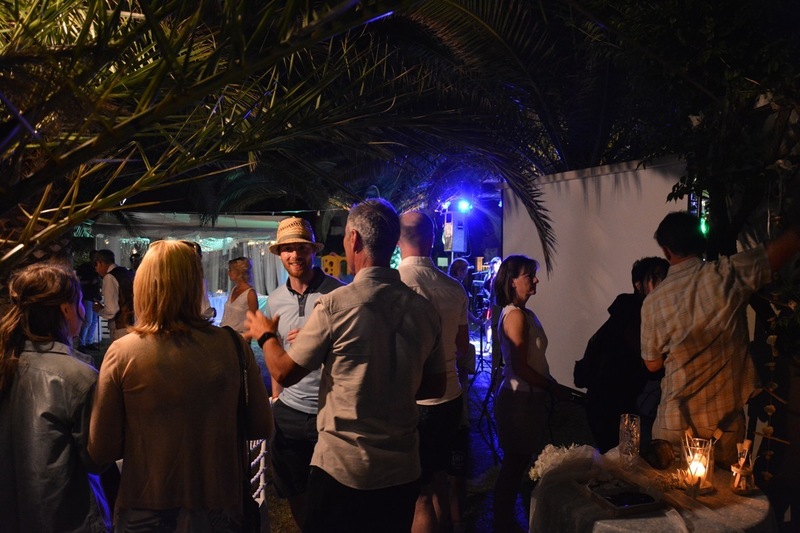 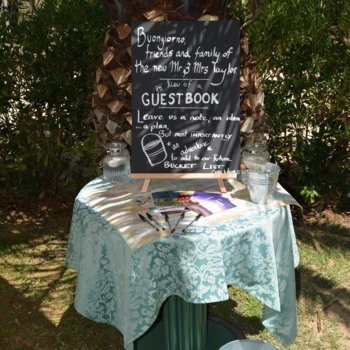 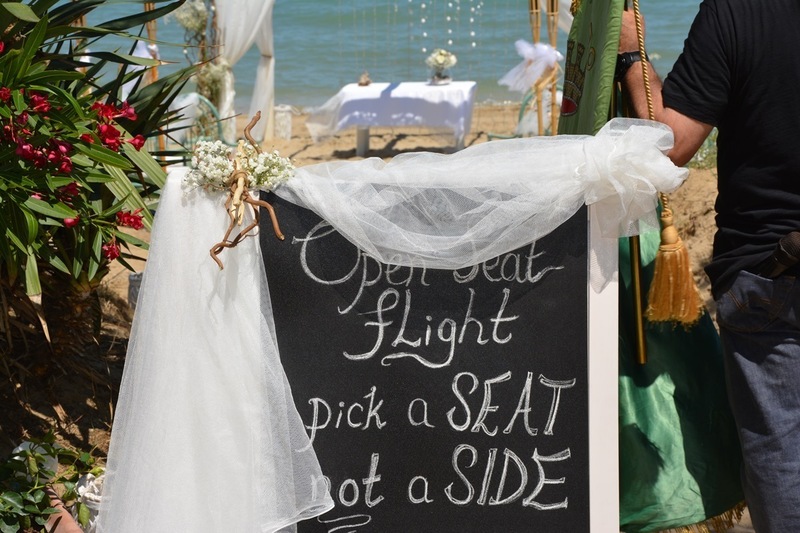 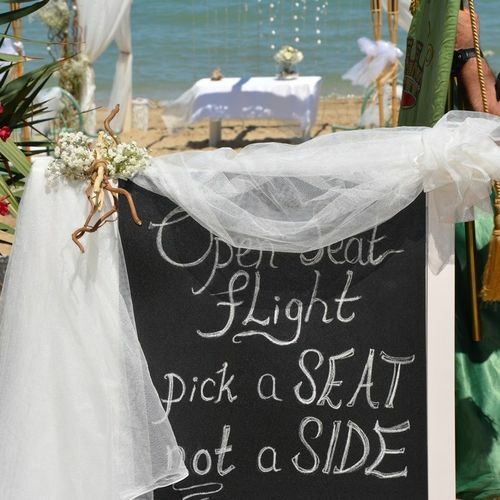 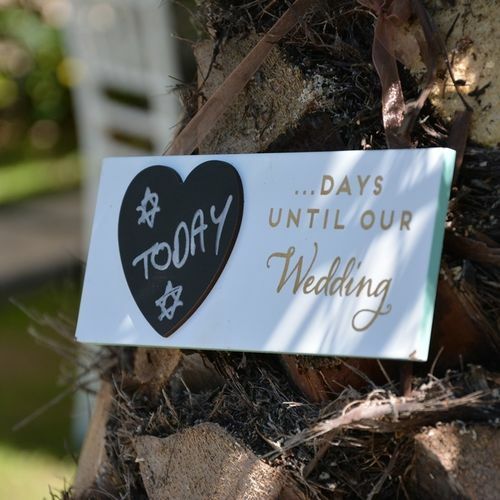 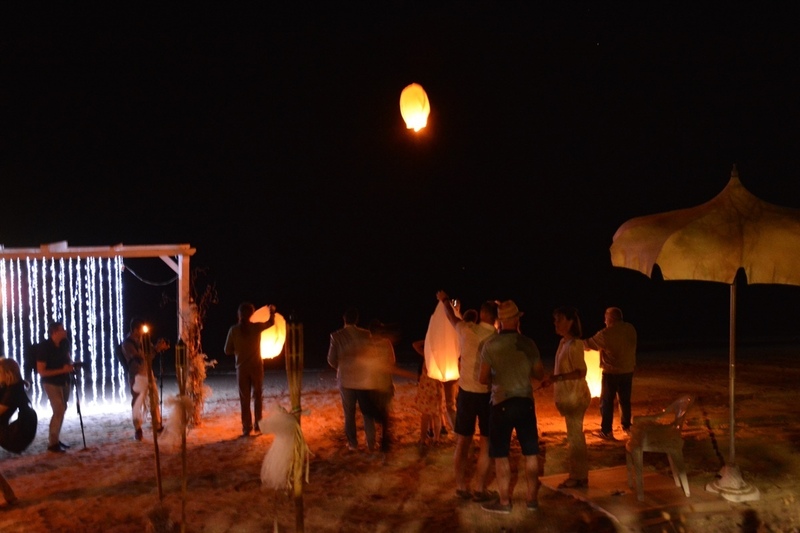 I know many people often ask the question when planning a wedding abroad, whether to use a wedding planner or not. 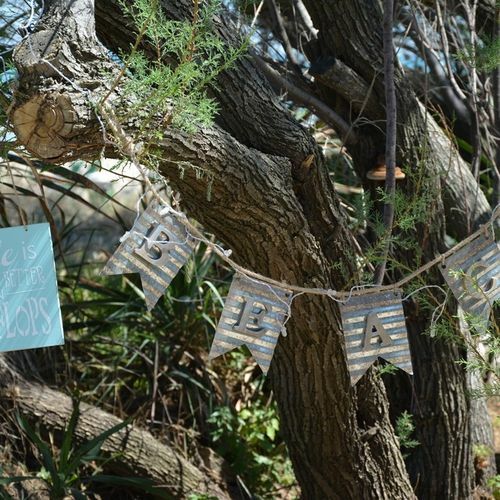 In my experience, although it meant it added to our budget, it was absolutely worth it for taking all the worry and stress out of things for us. 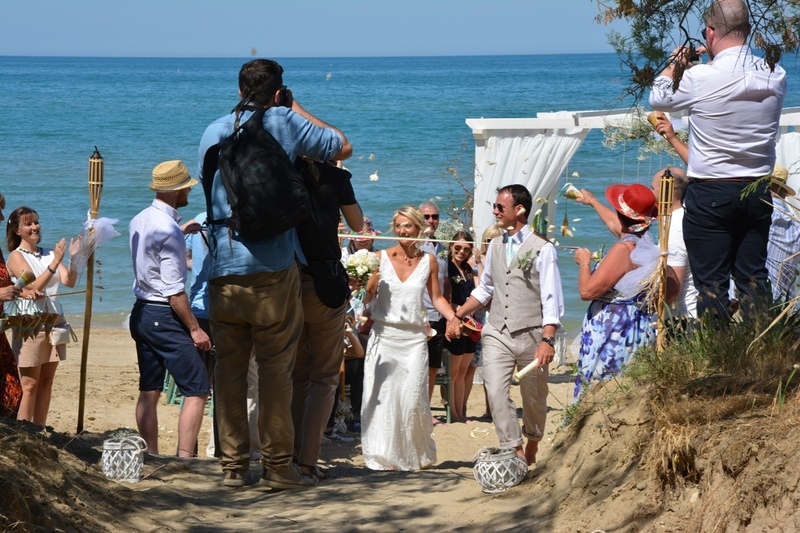 We did not have to source photographers, hairdressers or musicians; Emma sent us links of people she had worked with and recommended and then we chose accordingly. 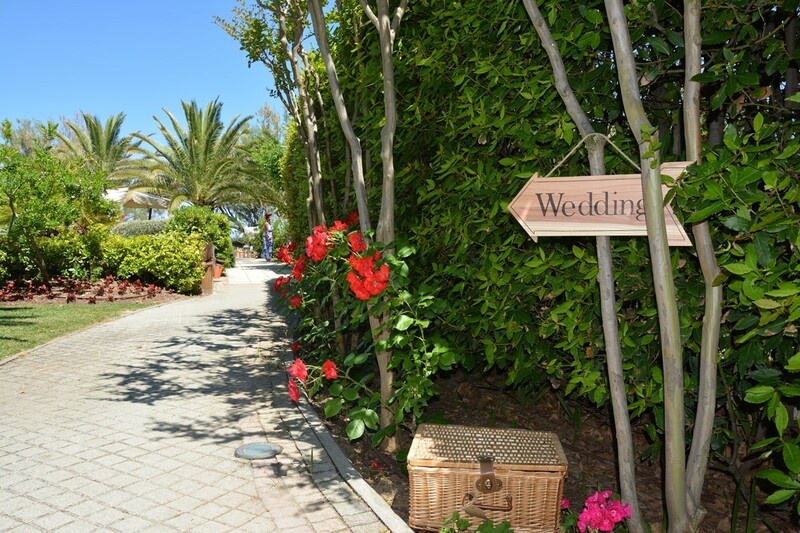 In addition, the local hairdressing salon we used through her were amazing; all the services she recommended and used were of a high standard, we were not disappointed by anything at all. 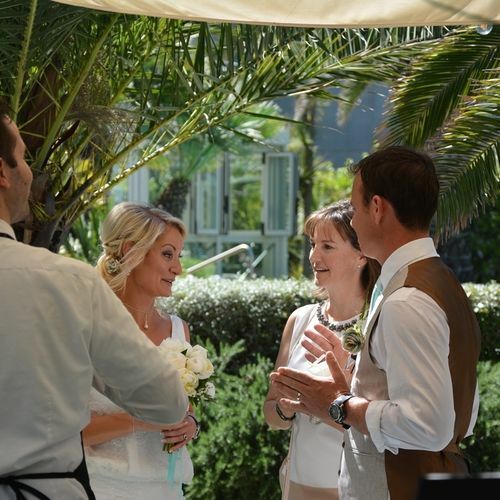 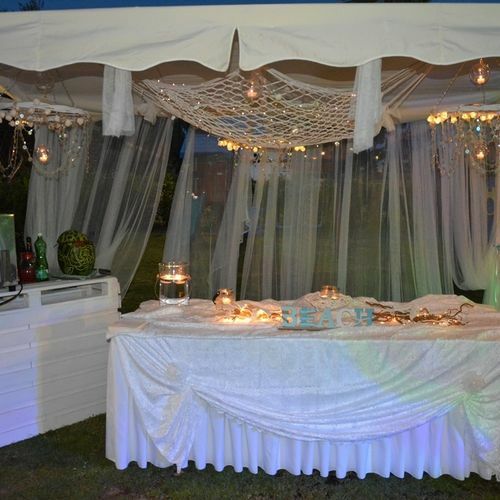 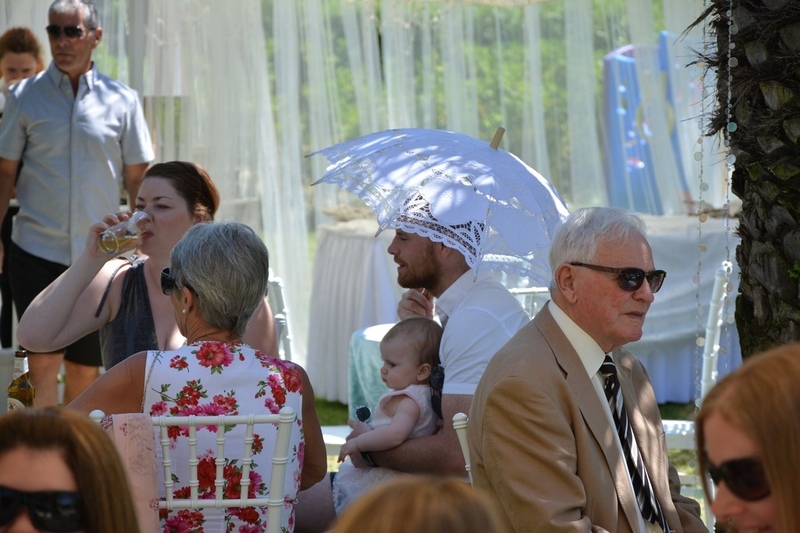 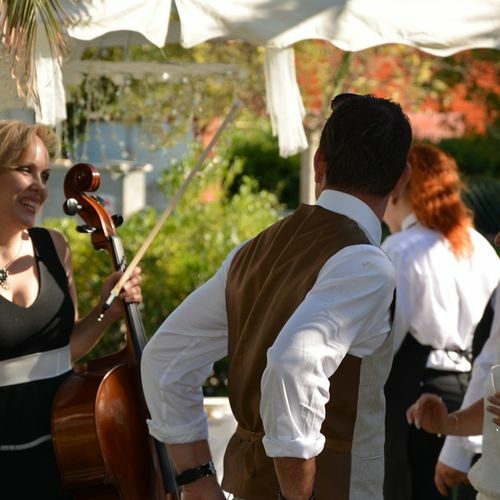 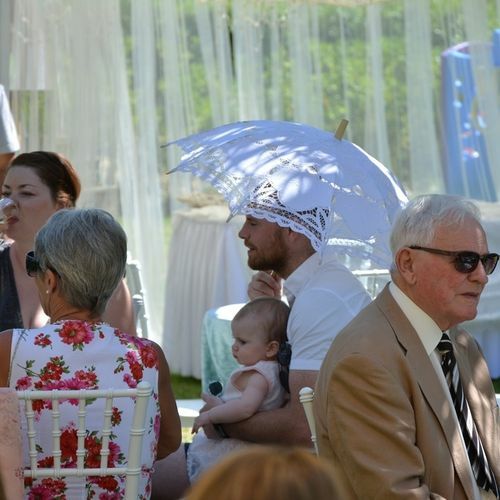 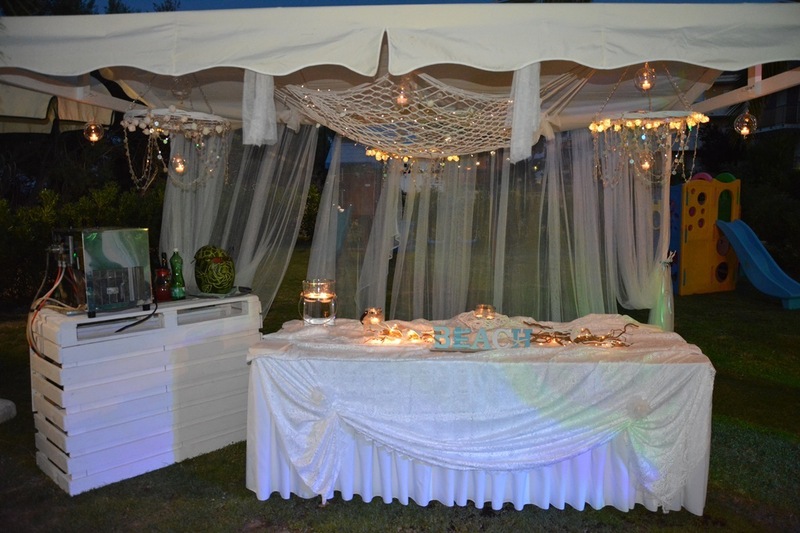 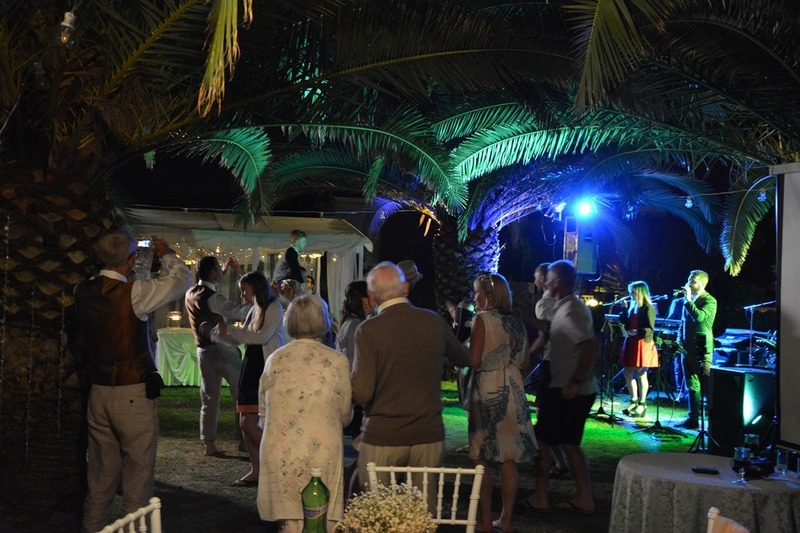 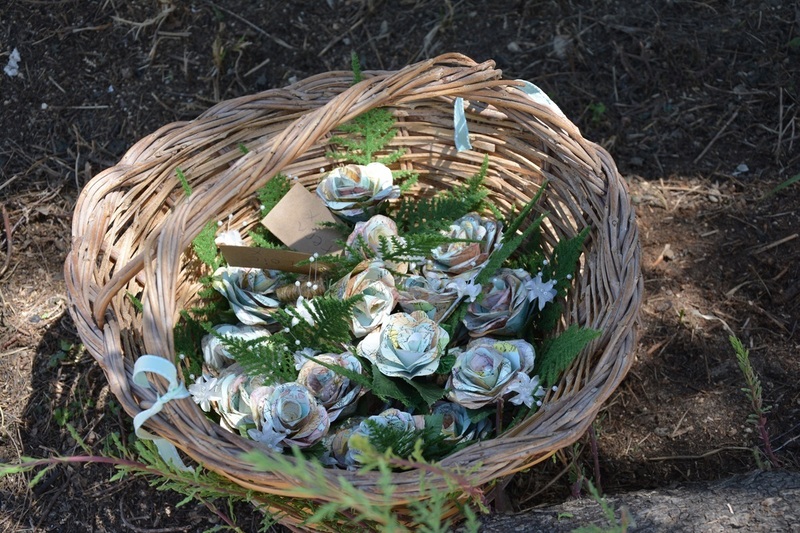 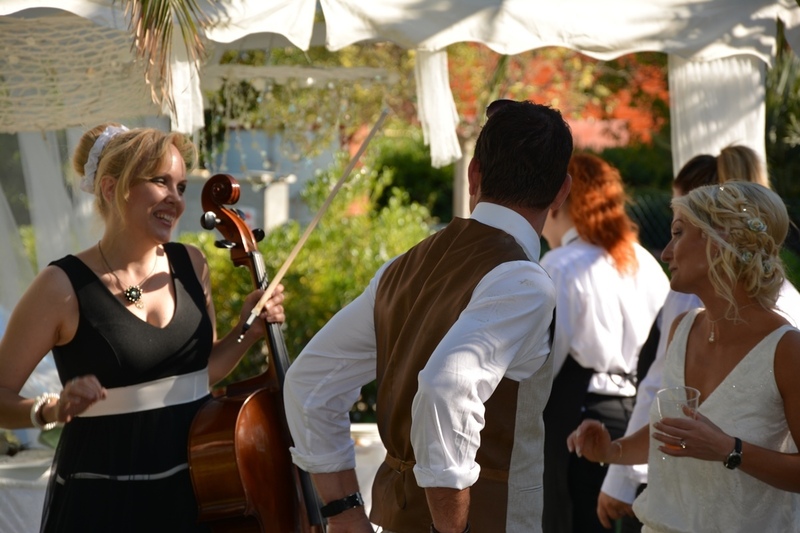 On the day of the wedding, Emma and her team worked extremely hard. 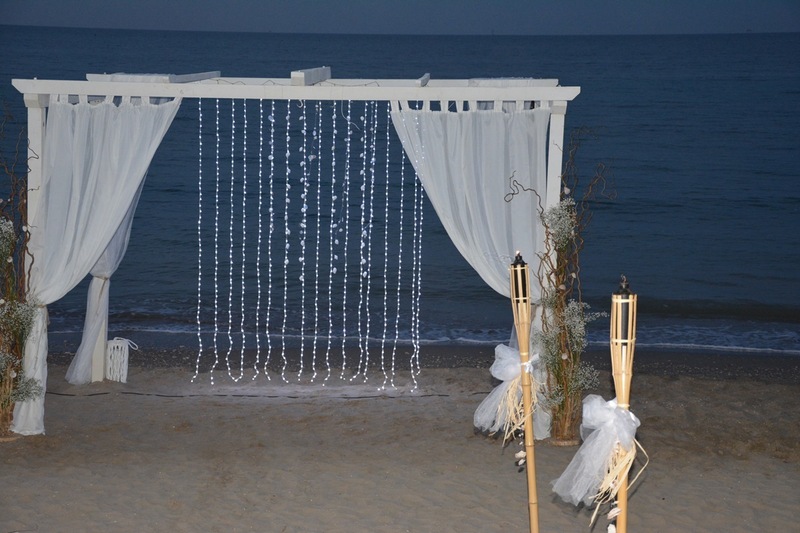 They began preparing the beach for our wedding the day before, and when we awoke early the next morning they were already preparing the hotel and area for the days events. 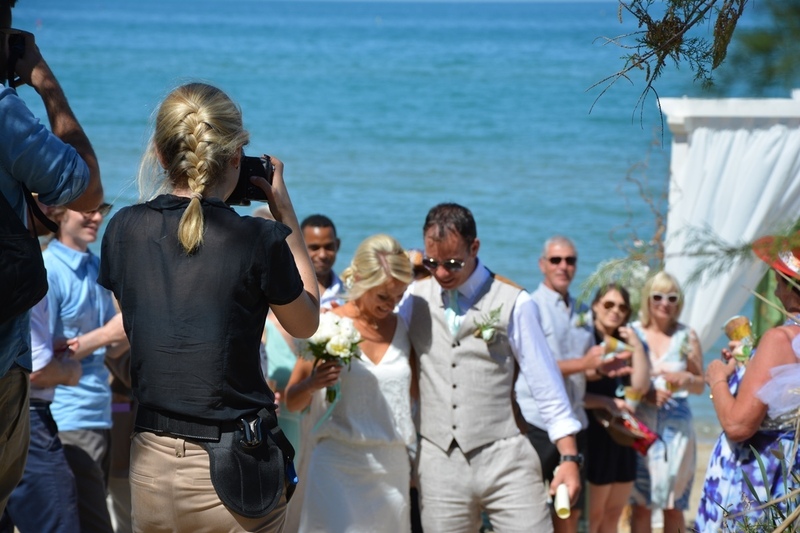 Having Emma and her team taking care of all of this meant that my husband and I could enjoy the morning; him with guests and myself at the local hairdressers with my bridesmaids. 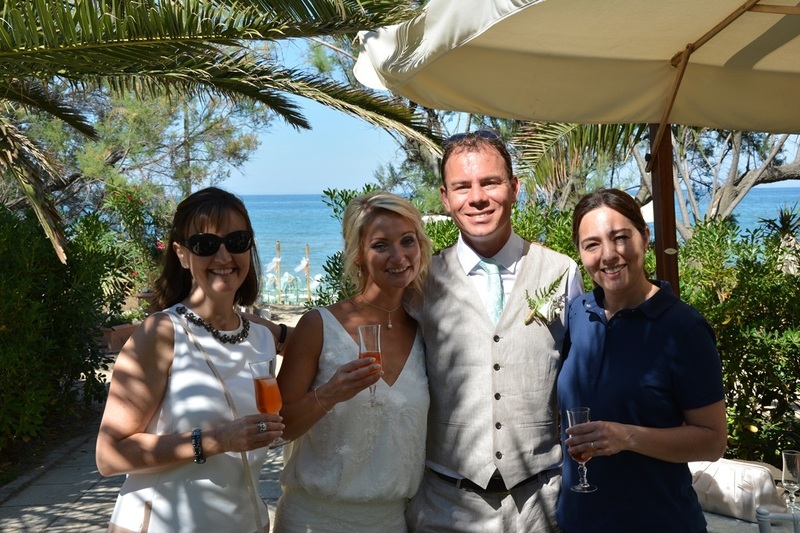 Thank you to Emma Docwra & your team for all your hard work and for giving us the most fantastic day which we will never forget. 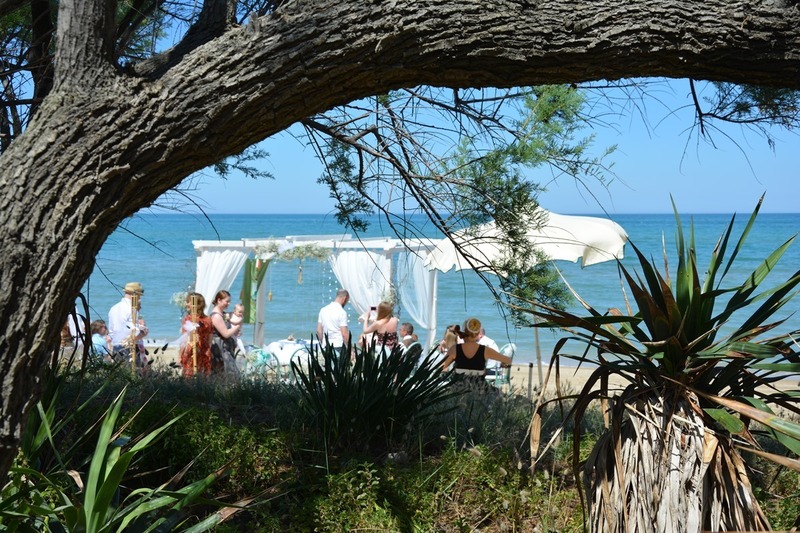 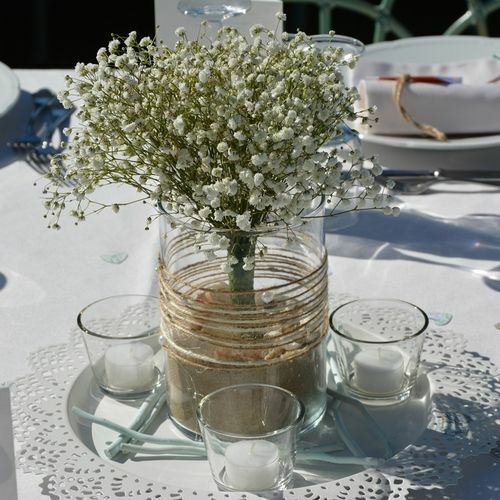 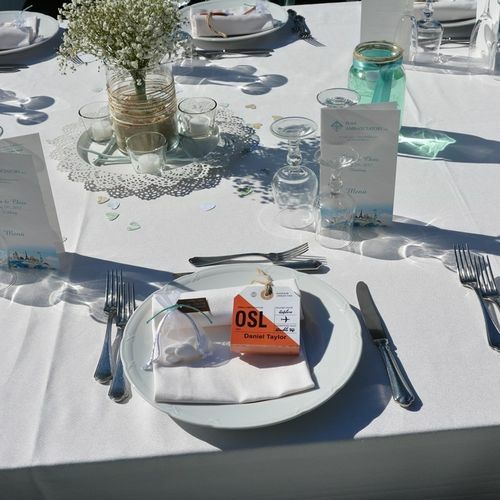 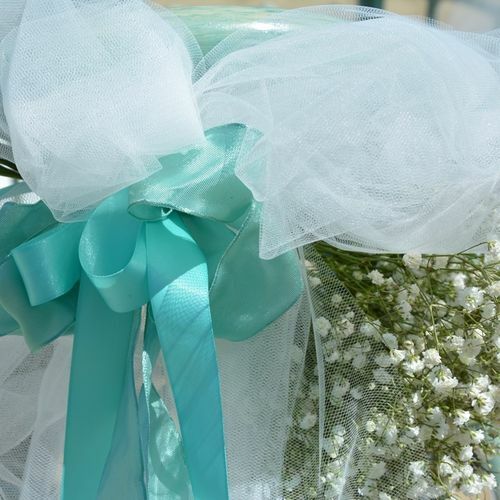 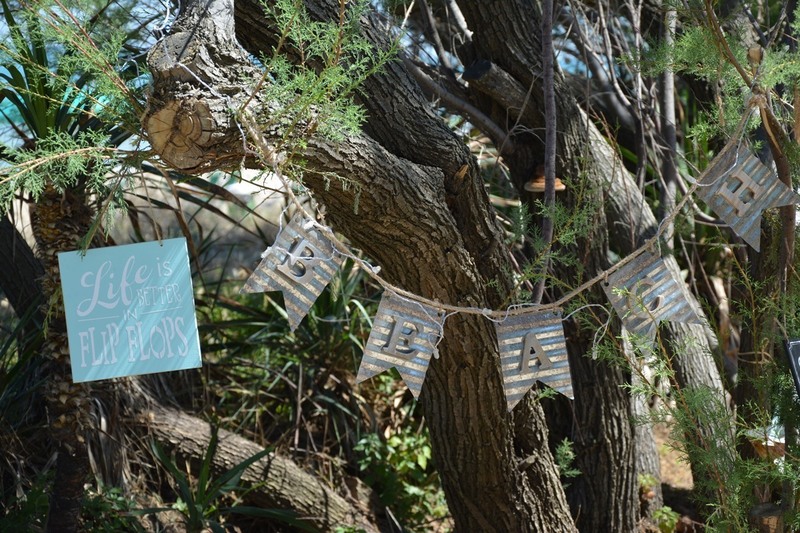 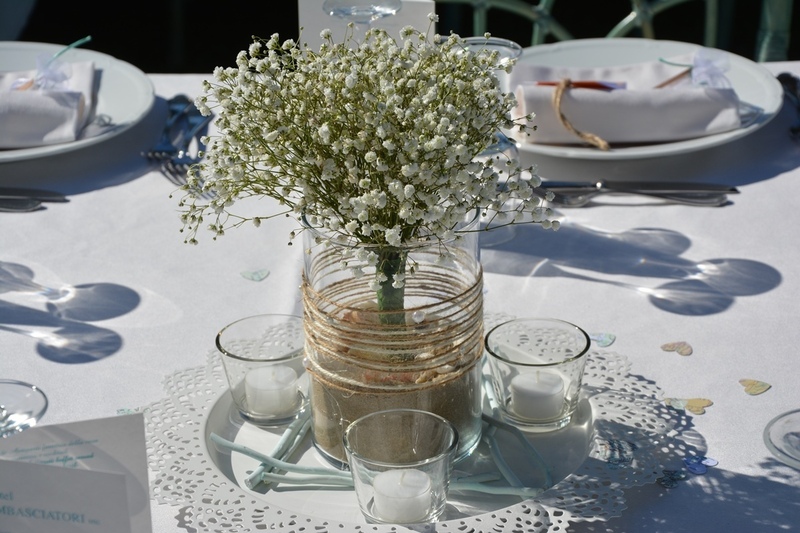 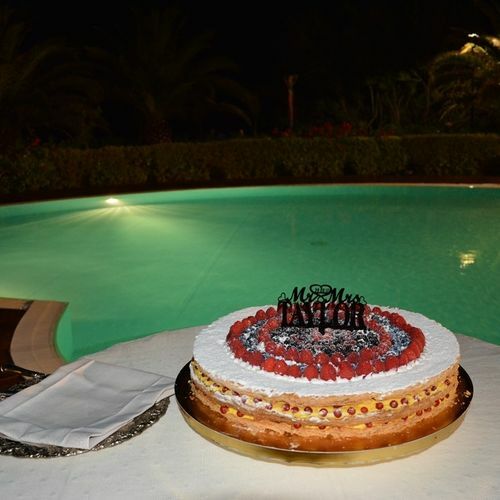 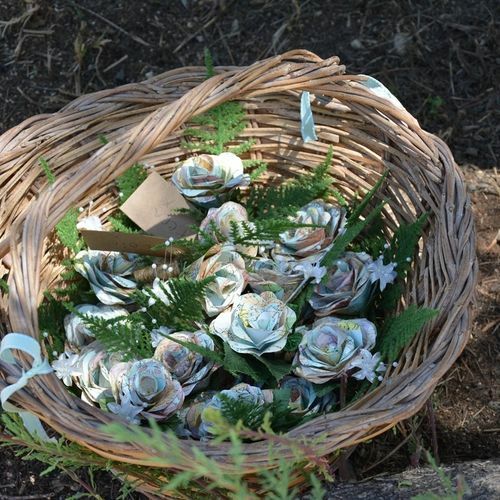 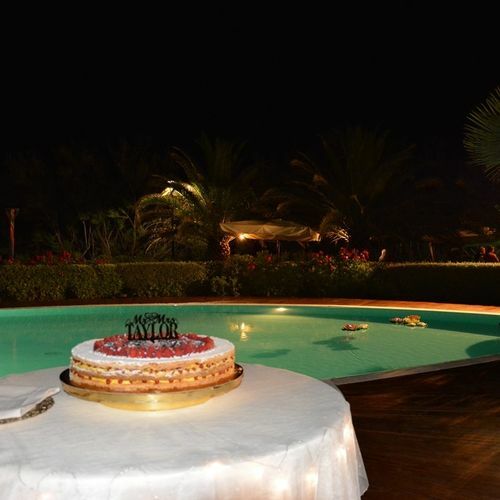 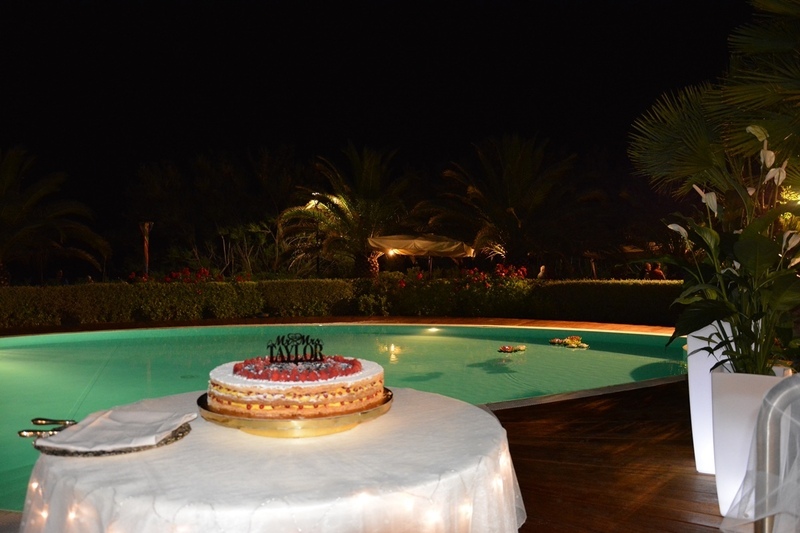 For anyone looking for a wedding planner in this part of Italy, I would have no hesitation in recommending her. 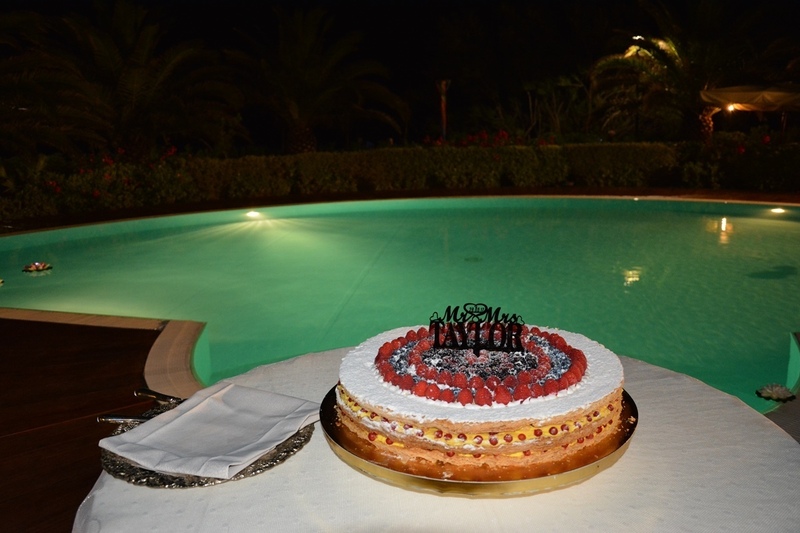 Thank you so much for everything you have done.